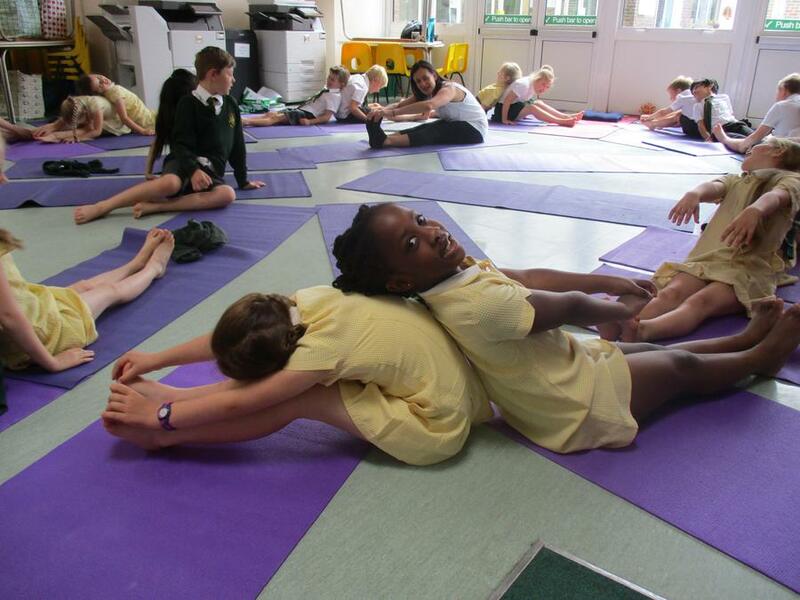 We are getting very close to the end of term! 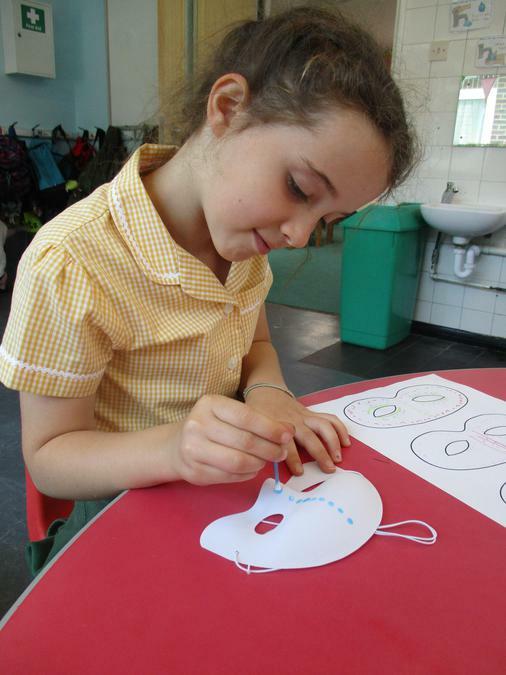 We have had a very busy week and the children have been working very hard. We have just started looking at using arrays to solve multiplication problems in maths and have started using an Anthony Browne book in our English lessons. Next page in the comprehension book. Mymaths task on the 3 times table. 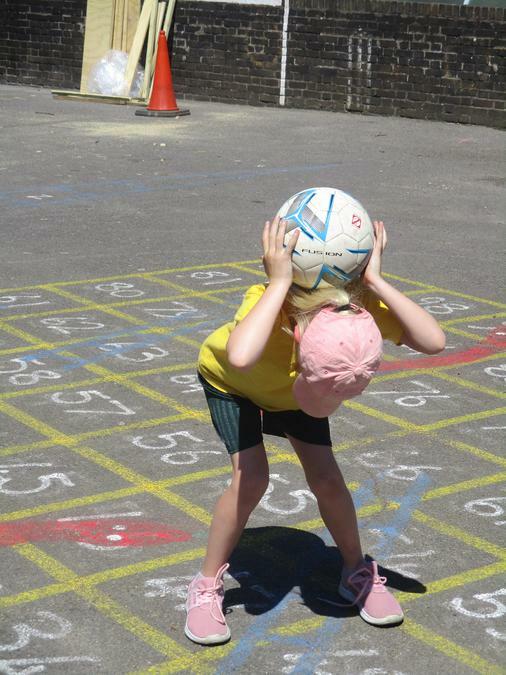 Maths: this weeks task on mymaths is focused on practicing the 2, 5 and 10 times table. We have been working on finding patterns in these and linking that to our work on doubles and halves. Another busy week has been and gone...they are flying by! - Find the minute hand (longer). - Is it on the past or to side of the clock? Past: count in 5's from the 12 to work out how many minutes past. To: count up in 5's to the 12 to see how many minutes it is to the next hour. The homework is all linked to this learning on mymaths. Spellings: doubling the consonant when the word is one syllable and you are adding a suffix. REMINDER: We will be having forest school again next week so just a reminder for the clothing and wellies! This weeks mymaths is all about telling the time using quarter past and quarter to. We have focused on this in school this week so this will be some good practice. We have been working on collecting research for writing a non-chronological report. 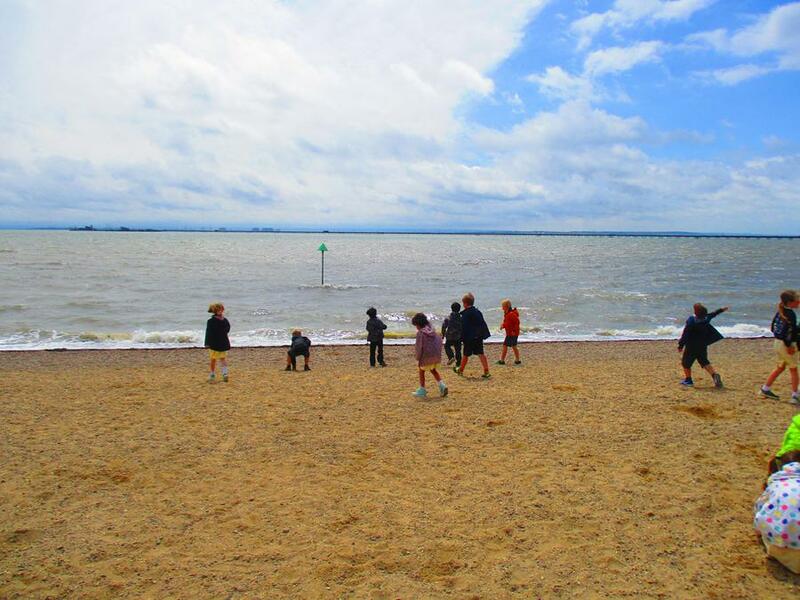 All of the children have been looking at sharks and in particular an area such as how they move, hunt or grow. For homework this week I would like the children to do some of their own research about sharks so that they can add this to their report. They can research the same area from class or a different one of their choice. Please write a few sentences to show the information found out at home. The challenge is to include some of the spellings above or some conjunctions. ...so we are very tired after all of that!! 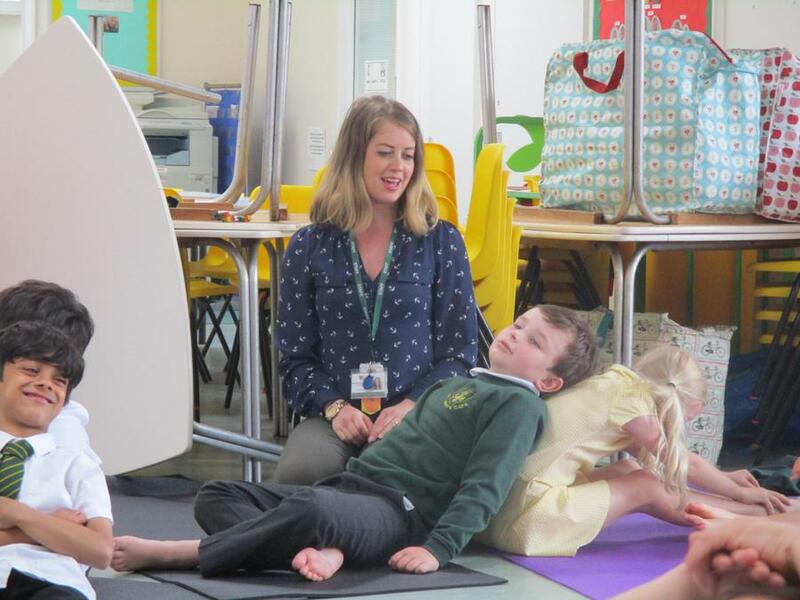 Please take a look at the photos below that were taken throughout our great activities! Spring 2 - Welcome back! We have had a very busy first week back with a new sport being learnt and an exciting storyteller in sharing some lovely music! We have also started a new topic in English which is all about non-chronological reports. Next week we will be moving on to looking at the time in Maths, which is why the mymaths homework focuses on this. It would be great for the children to practice telling the time using o'clock and half past before next week so they can recap learning from Year 1 before moving on to Year 2. Reading comprehension book this week. Next week the children will begin their forest school lessons. This is a quick reminder to try and have the correct clothing for it by Monday please so that children can go out no matter the weather. 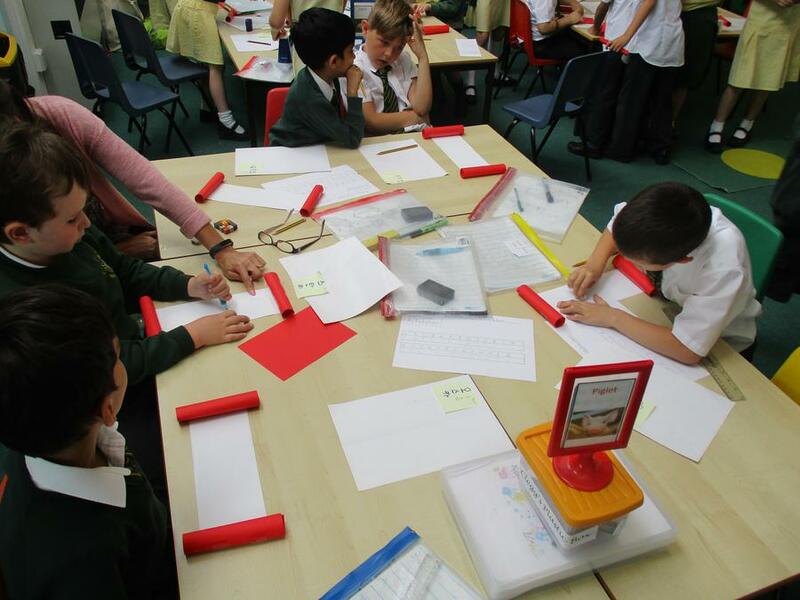 Maths: mymaths activity relating to adding and subtraction over the tens barrier. Ask children to draw bead strings or Dienes to support this process when working it out as we have been doing this at school this week! The worksheet version is attached above. Spellings: adding ing, ed, er and est endings. English: next page in reading comprehension book. Hope you're all having a great snow day and long weekend! I'm looking forward to hearing all about it on Monday! I have set a task that focuses on using block diagrams and finding information from it. Next week we will be finishing written addition and starting written subtraction so you may want to practice this at home too. As the homework books are at school, I would love you to write a diary entry on a piece of paper to tell me all about your snow day! You can even draw a picture or print one out to show me! Remember to focus on your handwriting and think about the spelling rules we have looked at so far this year. Remember to keep on reading! We will change books on Monday as we couldn't today. This week, the mymaths task is linked to measurement and solving problems with measures. The document has been uploaded below this post. Apologies for it being late last week. Next week we will be moving on to written addition and so it may be helpful to practice some mental addition questions reminding the children to use beadstrings or dienes to solve them. Please complete the next reading comprehension in the CGP book. Next week we will be looking at some common exception words that are listed in reading records and also words that are contractions. 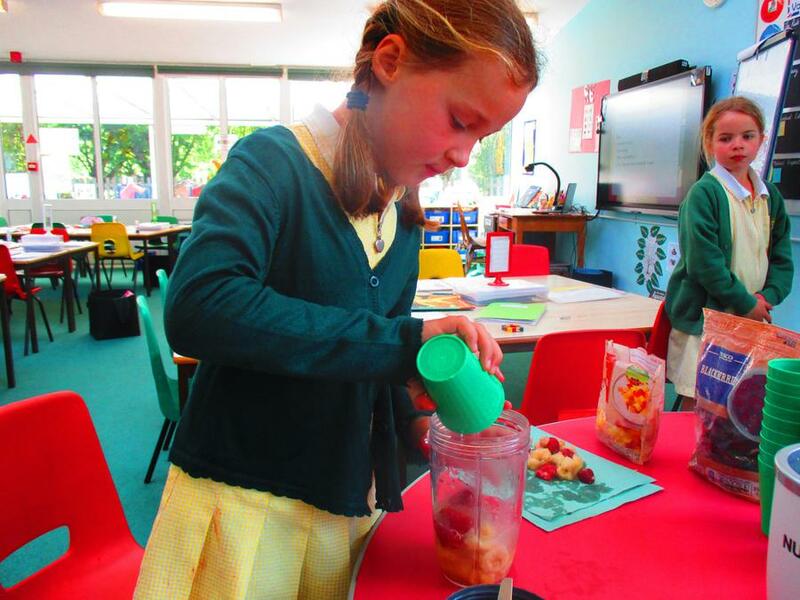 This week we have been looking at measuring weight, capacity, length and also degrees! 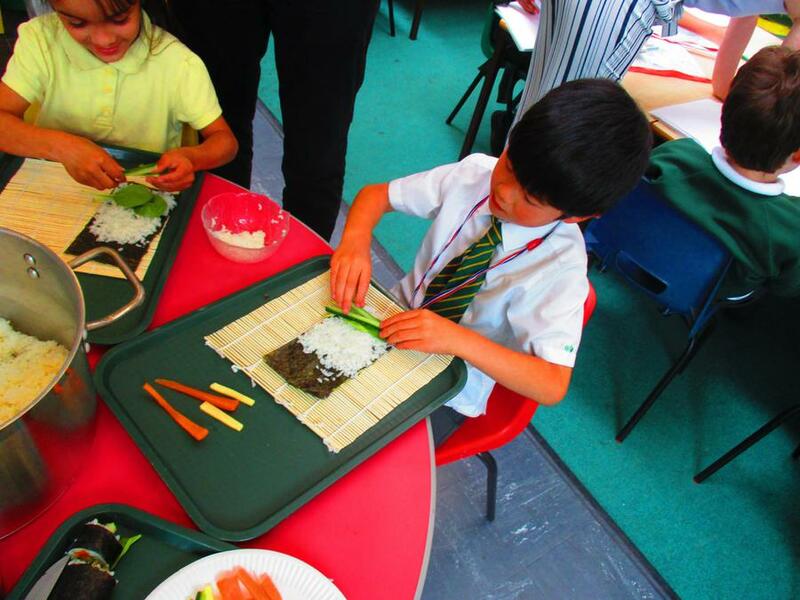 It would be great for your child to have a look at a range of scales or measuring equipment to stay familiar with it! However, I have set a mymaths task that is still linked to money as I feel it would be good practice! Please find the document for mymaths if you can't login online. We have just started a topic about explanations and how we use lots of conjunctions for this. I would like them to write a short explanation about something they like to do - it could be a hobby or how to play a game. Lots of conjunctions must be used please, such as: and, or, but, because, when and so. Reading - just to clarify, the reading information given out last week does not mean you need to read each book 4 times. It just means that over the week, your child must be read with at least 4 times. Books still need to be read twice before they can be changed and we encourage you to ask your child about expression and fluency as we have looked a lot at this recently. My maths sheet if you can't login! Welcome back, I hope you all had a lovely Christmas holiday. This week we have spent a lot of time looking at amounts of money, adding and subtracting with money and finding change. The maths homework focuses on that this week on mymaths. For English, the children need to complete the next reading comprehension in their CGP book. Spellings - next week will look at 'kn' and 'gn' at the beginning of words. Please make sure along with these spellings that the children are practicing the high frequency and tricky words that are listed in their reading records. Reading is going to be a big priority from now on. I have told the children that from Friday when they change their books, they must have read at least 4 times with someone else by the following Friday so that they can get their golden time. As the books were not all completed over Christmas, we will be changing books on Monday. Any questions, feel free to ask! Have a good weekend! 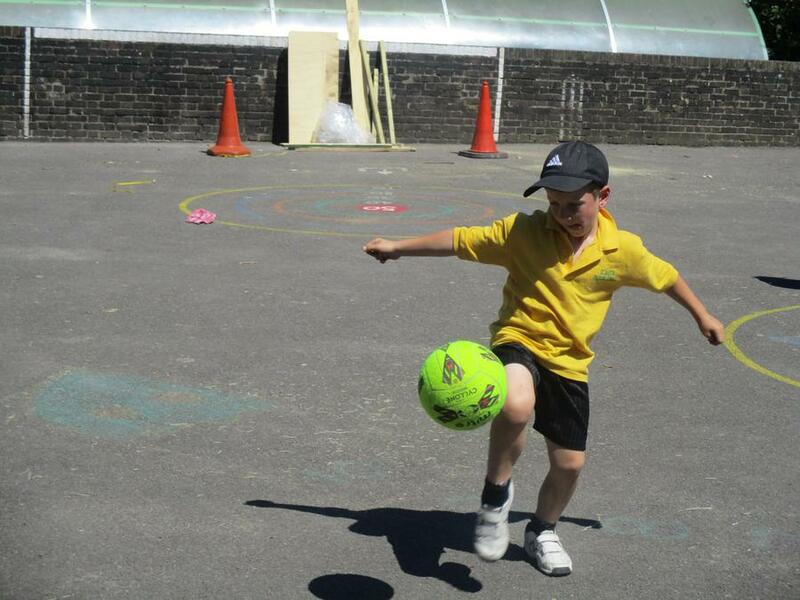 Well we have nearly reached the end of this busy term! The amazing nativity shows and the fantastic shoe box habitats have made our week very exciting! Well done Year 2, I am very proud of you all! Please see pictures below of our amazing habitats! 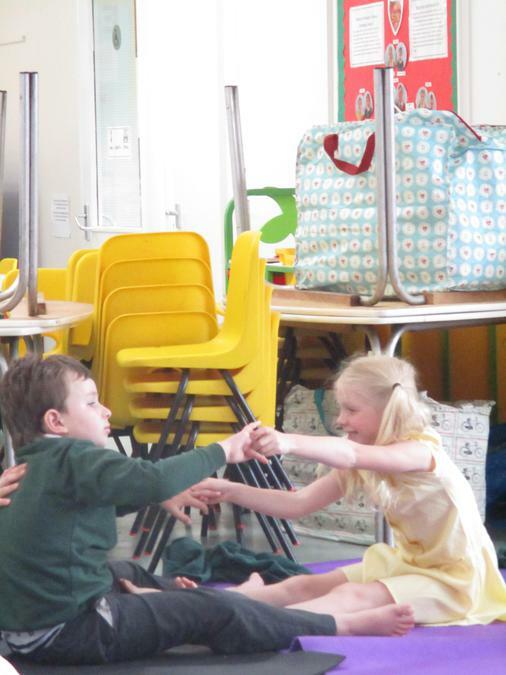 Wow rehearsals are almost finished for our performances next week! For homework I would like you all to continue learning your lines if you are still not secure with them and have a good rest ready for show week! Please remember to keep reading, spellings we will leave for this week. As we have lots of lines and songs to learn, I have decided that this week I would just like the children to only complete spellings and reading as homework. So please can I ask that lines are practiced as much as possible, songs are rehearsed and costumes are brought in on Monday for lots of rehearsals next week! Please find the PowerPoint with the words for each song uploaded below. 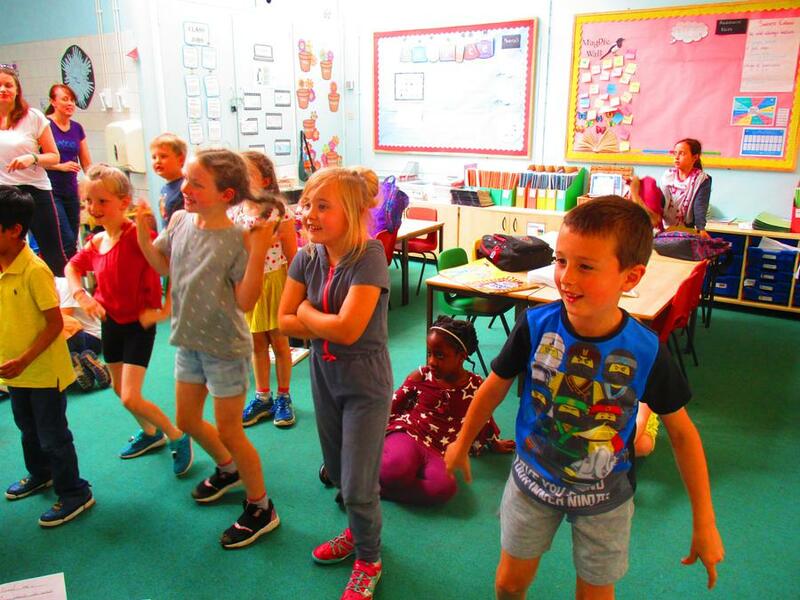 The children have been given their lines this week so that they can begin practising and learning them for the big day that is only 2 and a half weeks away! 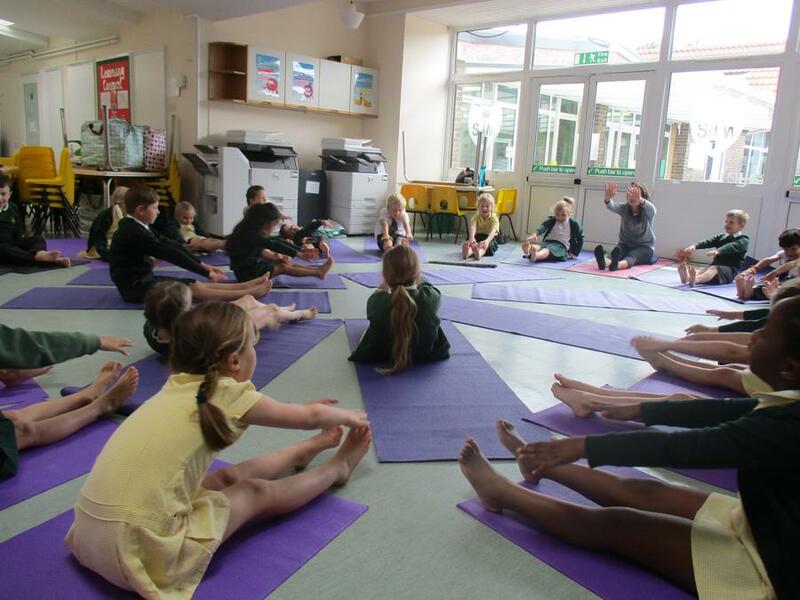 Please encourage your child to learn them to help us when practising in the next few weeks. Costumes for characters will be sent home this week so that you have enough time to do that too. I look forward to hearing them! 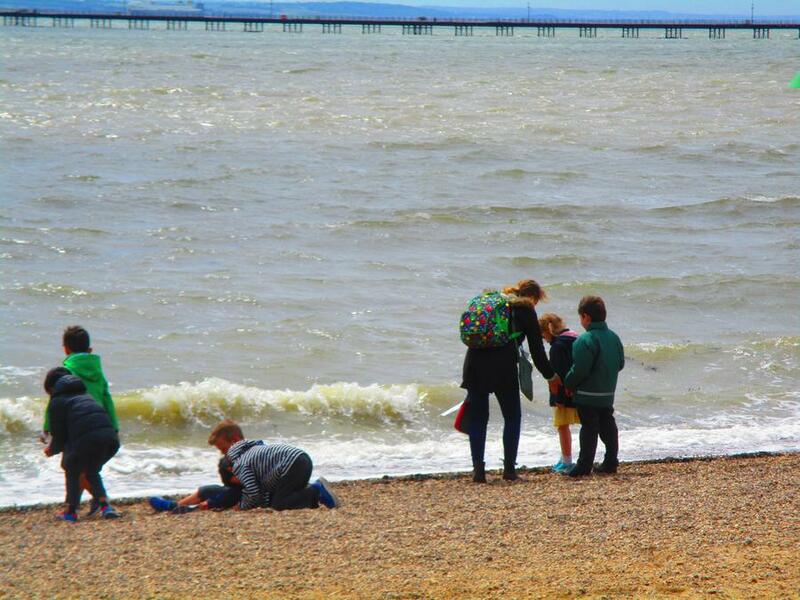 I hope you all had a lovely relaxing half term. 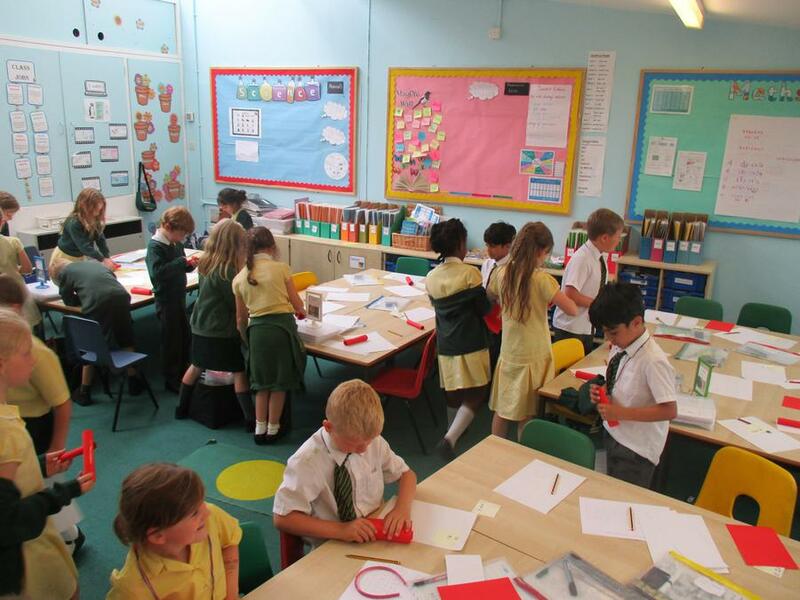 We are straight back into work this week in Year 2. We have started comparing 2 different versions of a traditional tale, adding and subtracting mentally and even started learning about Guy Fawkes! We are excited for the busy term we have ahead of us! Next week we will be looking at number bonds to 10 and 100 and more features of traditional tales, including setting descriptions and speech within text. Enjoy your weekend! 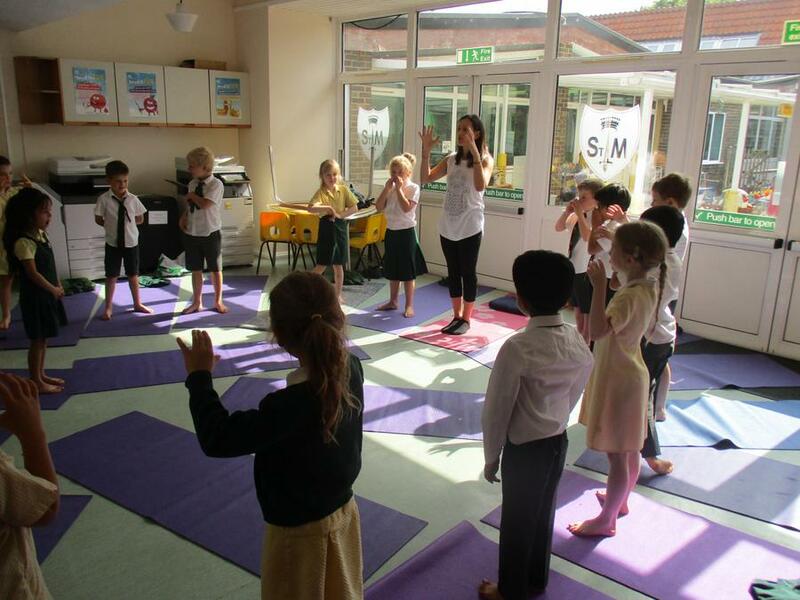 Well we are coming to the end of the first half term in Year 2 and what a busy time it has been! Apologies for no recent blog posts, I am currently waiting to see who's picture is allowed onto the website before anything is put up. We had a great time on our trip on Monday and learnt so much! Thank you again to all of our parent helpers. Next week is diversity week so we will be looking at a range of different topics, such as Black History, SEND and the LGBT community. Have a lovely weekend, we are almost at half term! 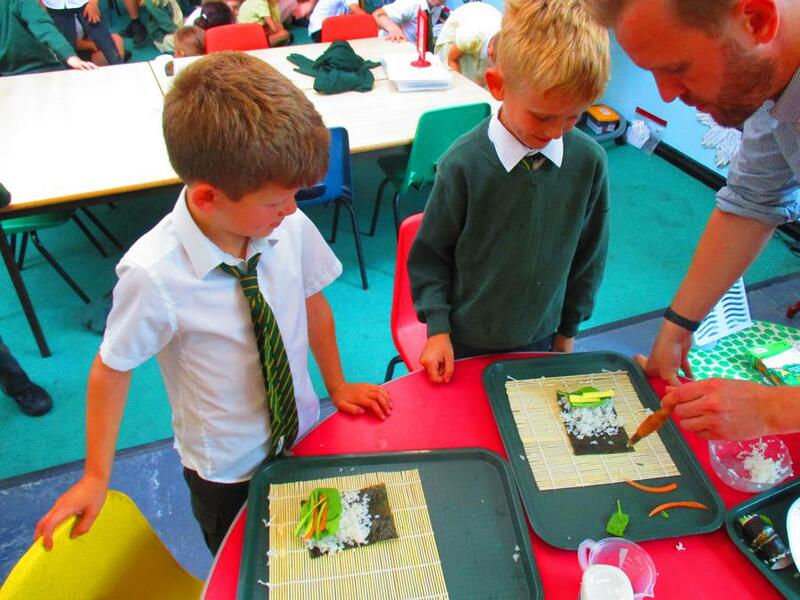 We have been so busy in Year 2 with all of our learning! We have begun most of our topics for this half term and we have had visits from some night owls! We also learnt about using the computer safely in an assembly on Thursday. We have had to move our voting to Monday as many children want to be part of a council but forgot to write anything down. So if they would like to be on a council (see post below) then they must write some sentences over the weekend please! Apologies if there is some confusion with reading books being changed! At this time, we would like the children to read both of their books twice so that they can develop fluency, comprehension and expression too. If you have any questions, please let me know. Learning council - children will vote. We have asked the children to prepare a few sentences about why they would like to be the councillors for the above. Also, we have made it clear if they have been on these councils before, they cannot be on it this year. Speeches and voting will take place on Friday. Any questions, please just ask! 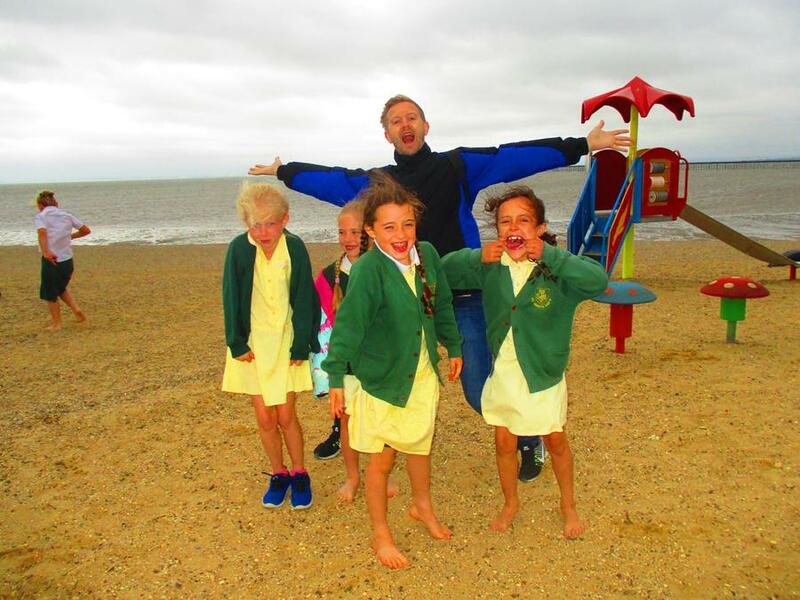 Welcome back, I hope you all had a fantastic summer break! 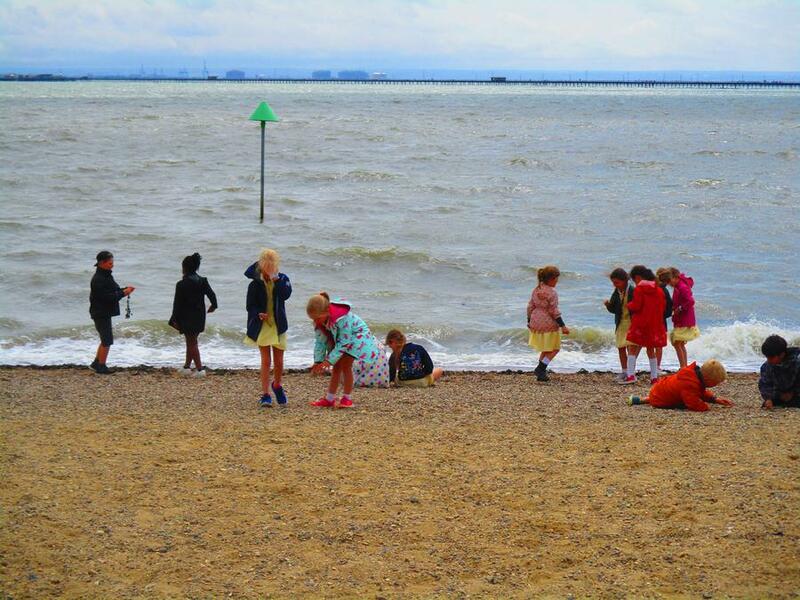 The children have settled into Year 2 very well and have had a lovely time in our first three days. 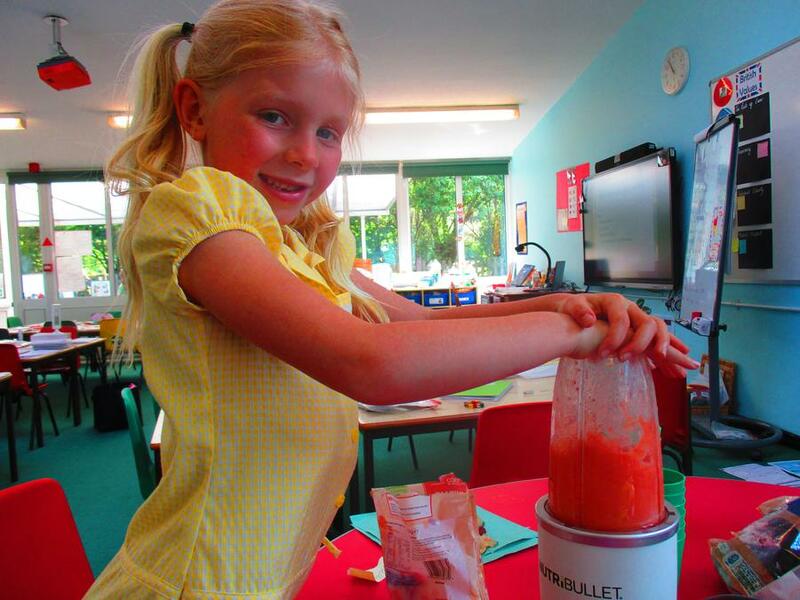 As it is the first week back, I have not set any home learning. However, the children have been sent home with 2 reading books and a login for the Times Table Rockstars website (see link below). As explained in the meet the teacher presentation, there is no requirement for the children to use this, but it would be great for them to explore and play some games on it this weekend. Please find any important documents listed on this page. Have a lovely weekend, see you all on Monday! 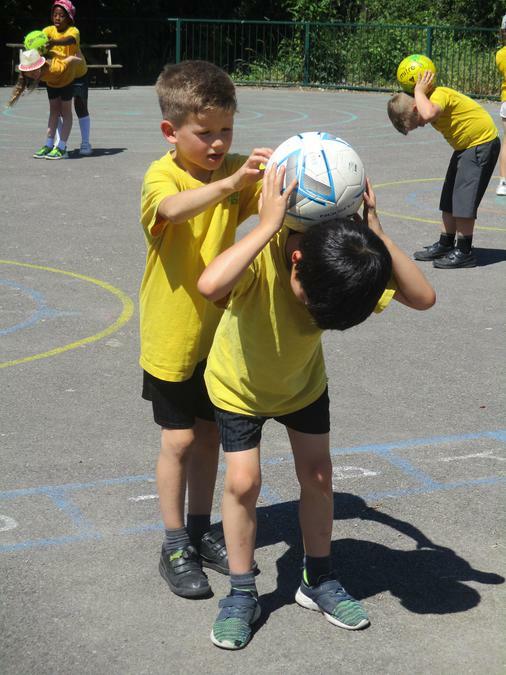 Literacy - To write a diary entry about Sport Week. What was our favourite part? Has anything inspired you? Maths - To draw a picture in your Maths book that is symmetrical. 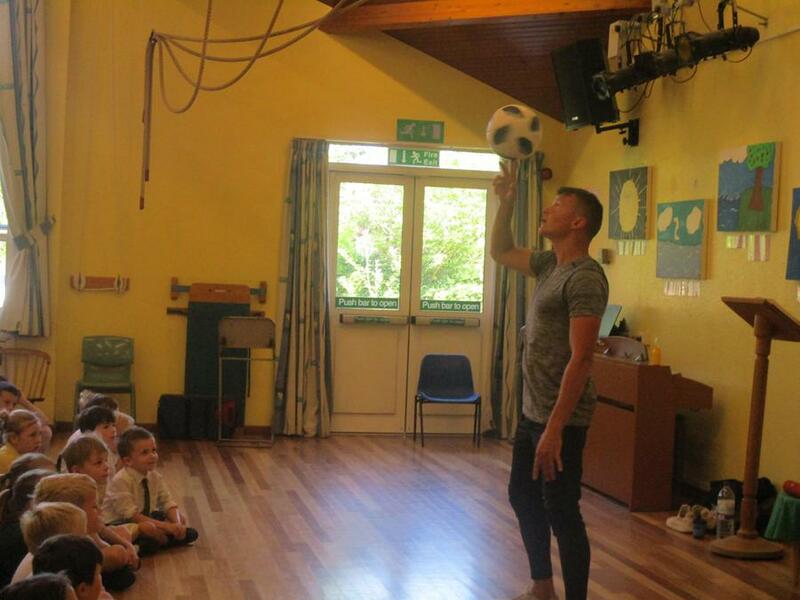 On Monday we had a visit from Jamie Knight a football freestyler. 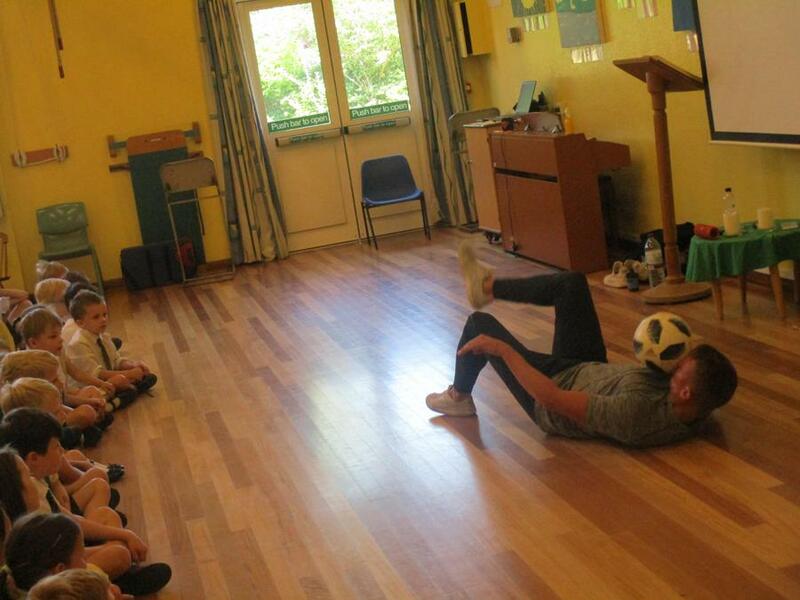 He shared his skills with us during an assembly and even taught us some of the football skills. 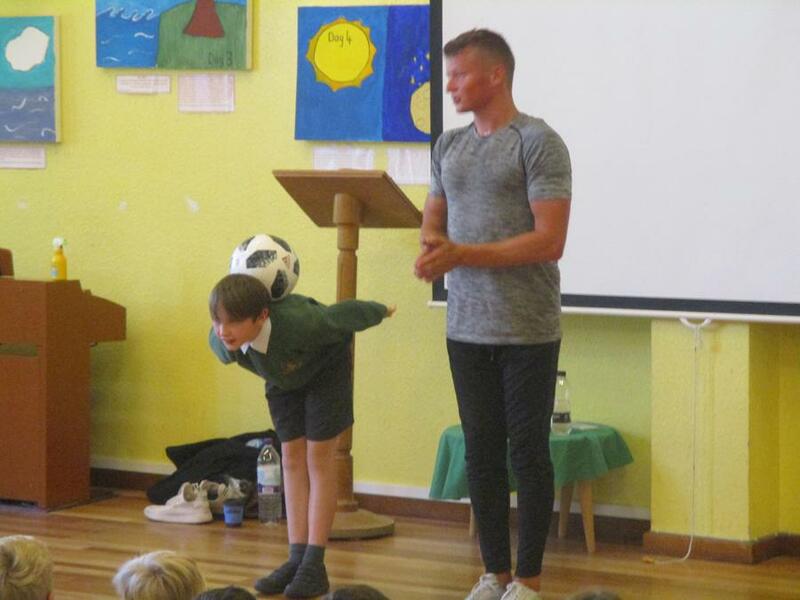 Jamie told us about his journey to success. Many of us came away very inspired! On Tuesday we took part in a Archery workshop. Not many of us had taken part in Archery activities before so it was great fun! 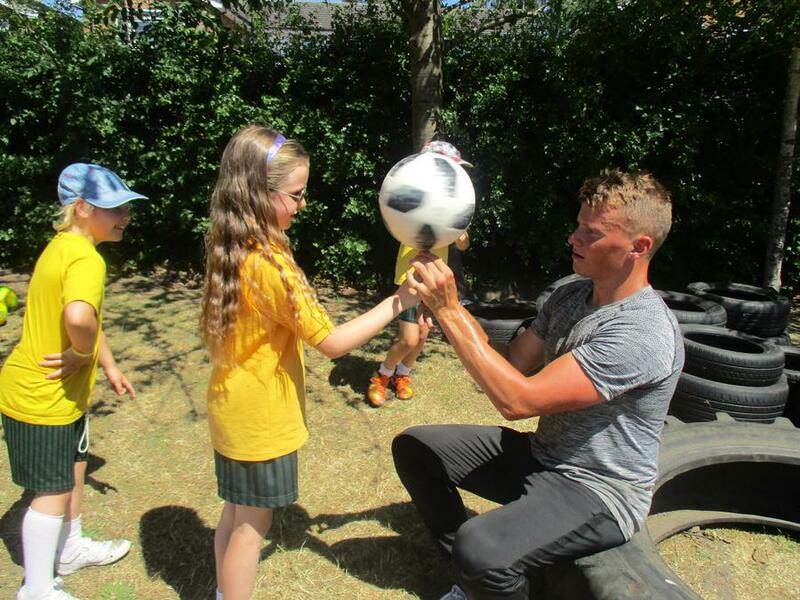 On Wednesday the Year 5 play leaders ran a fitness workshop for us. 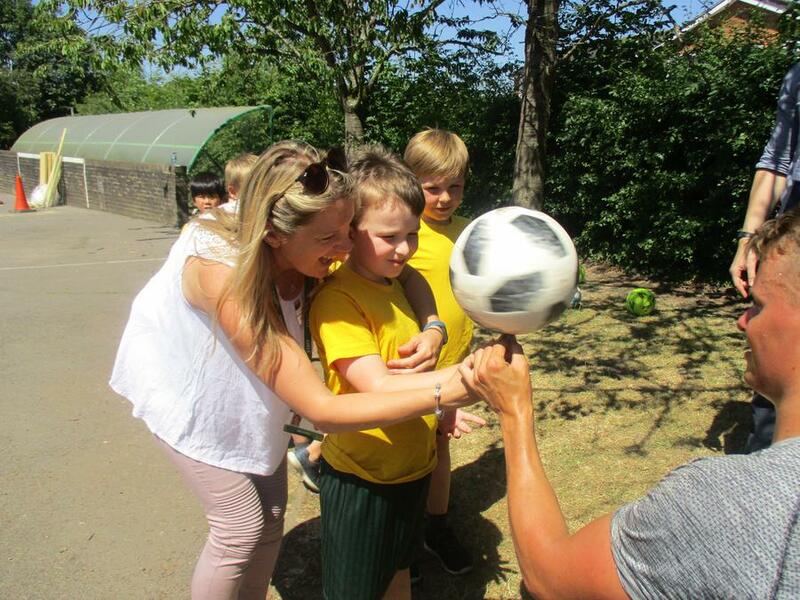 It was great to see the Year 5 children taking responsibility and setting up some fantastic activities. 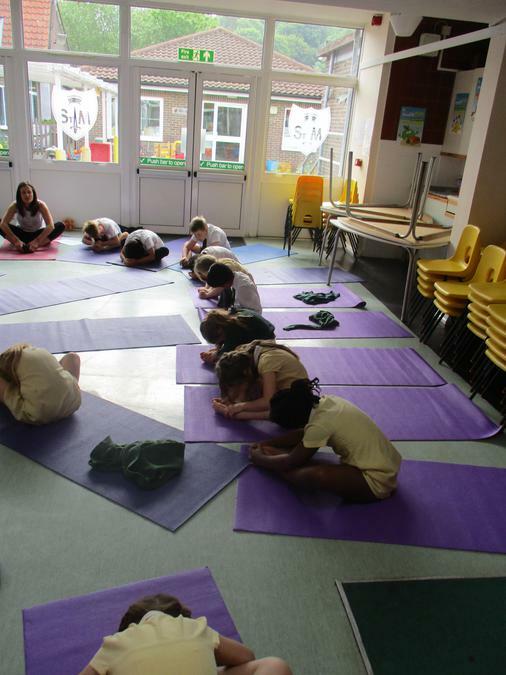 On Thursday we took part in a fitness workshop with A-Life. 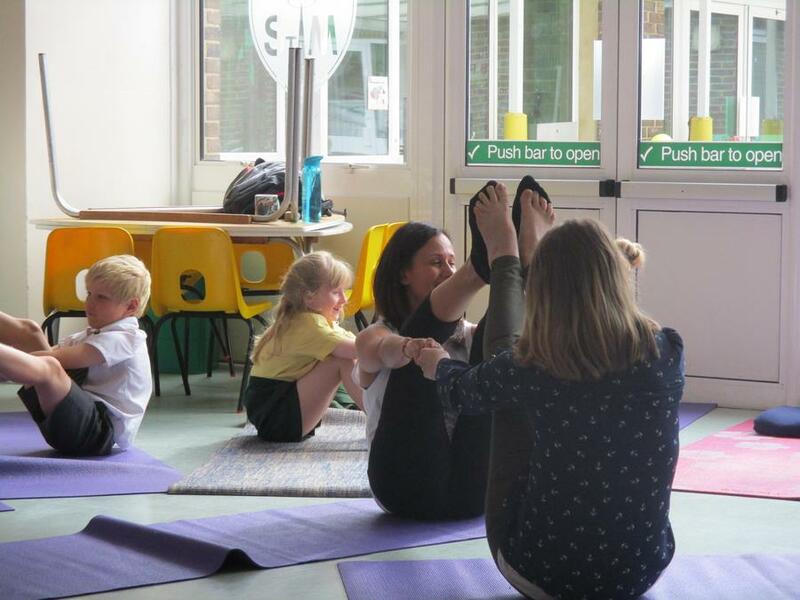 We learnt about the importance of staying fit and healthy. 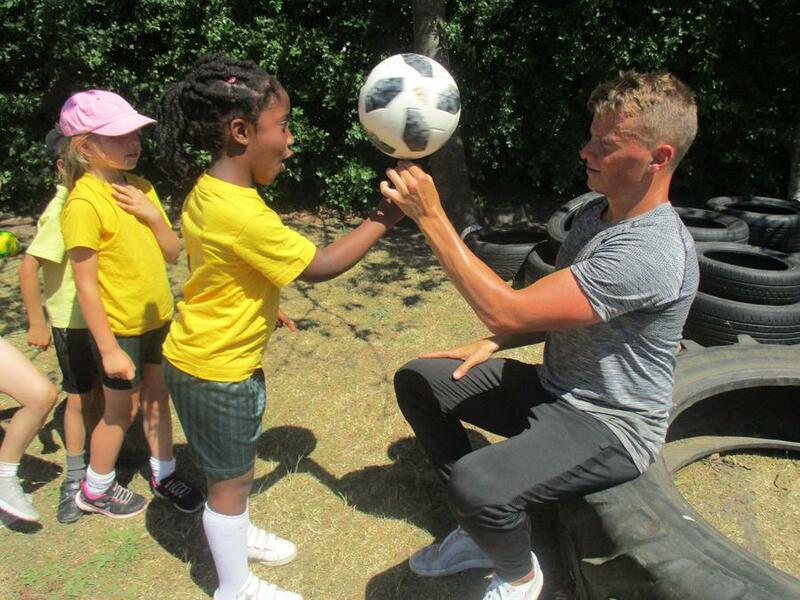 On Friday we took part in a tennis lesson. It was great to try out a different sport. 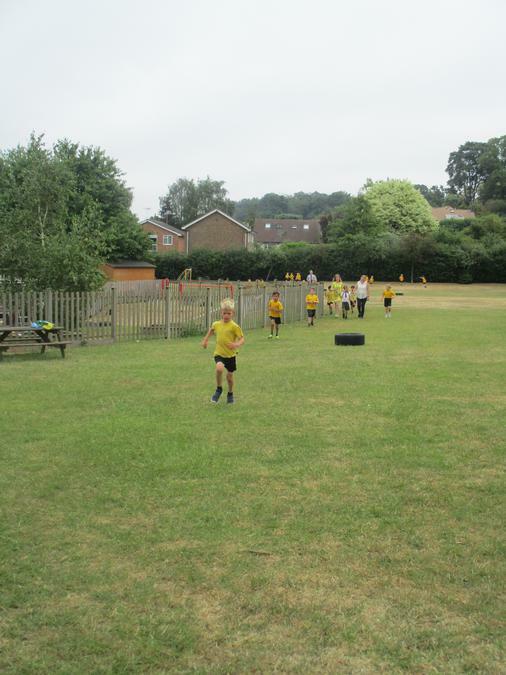 We even took part in the 'daily mile'. Next Year all classes will be completing this every day. 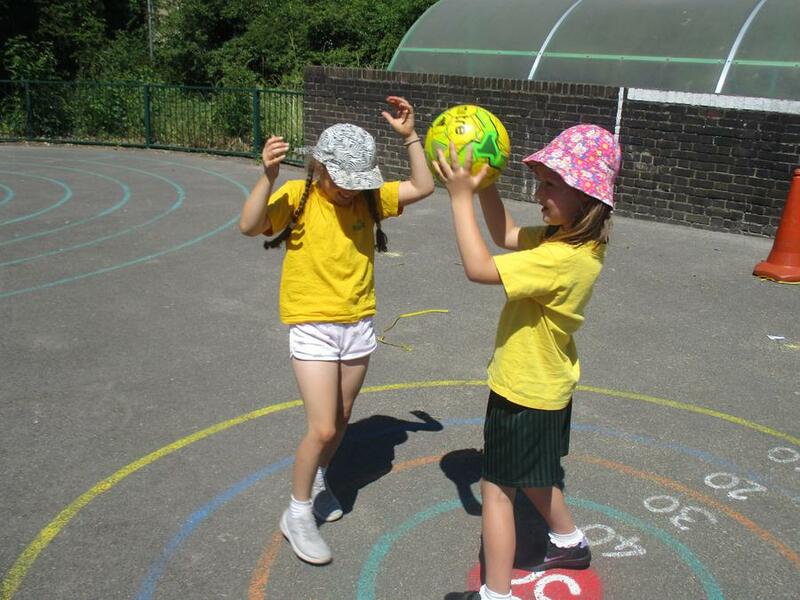 Please remember a hat, water bottle and sun-cream for next week. It is meant to be VERY hot! 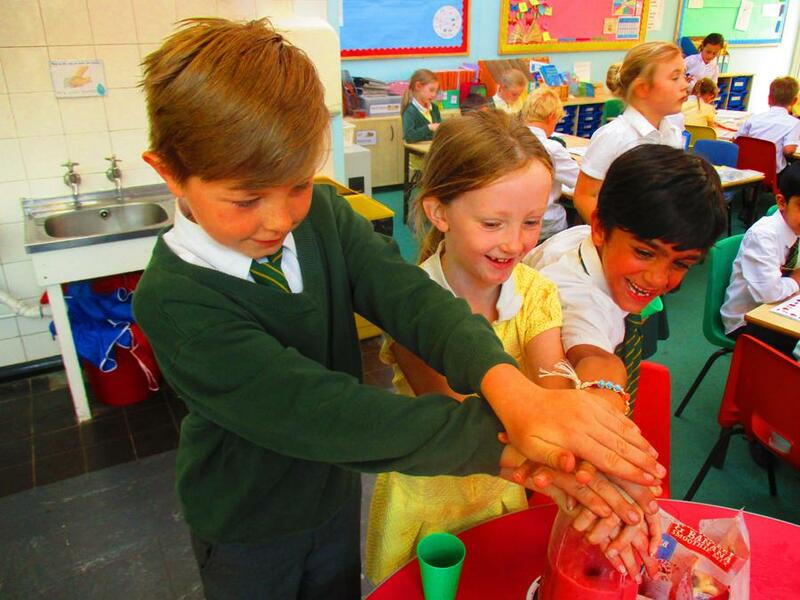 This week was a very busy week in Year Two. 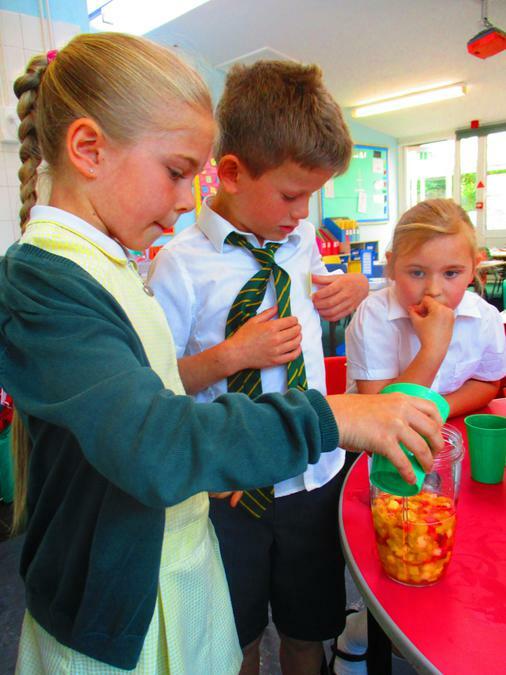 Take a look at all the fantastic learning we have been doing! 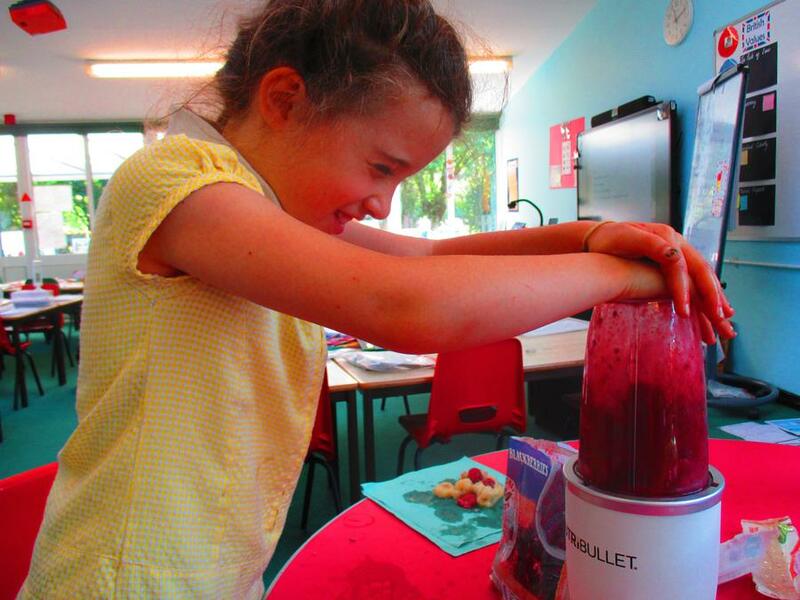 Home Learning - to have fun at the Summer Festival! 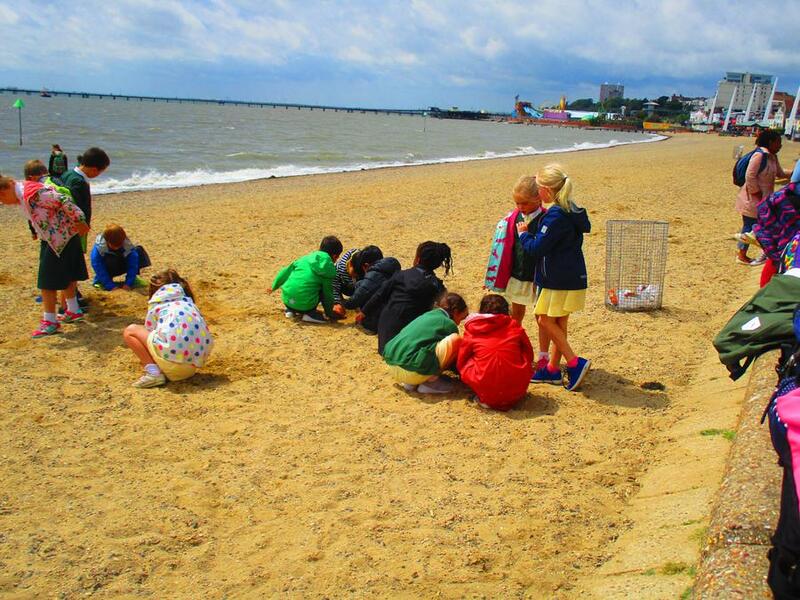 This week the Literacy home learning will be to write a recount of our trip to the seaside. 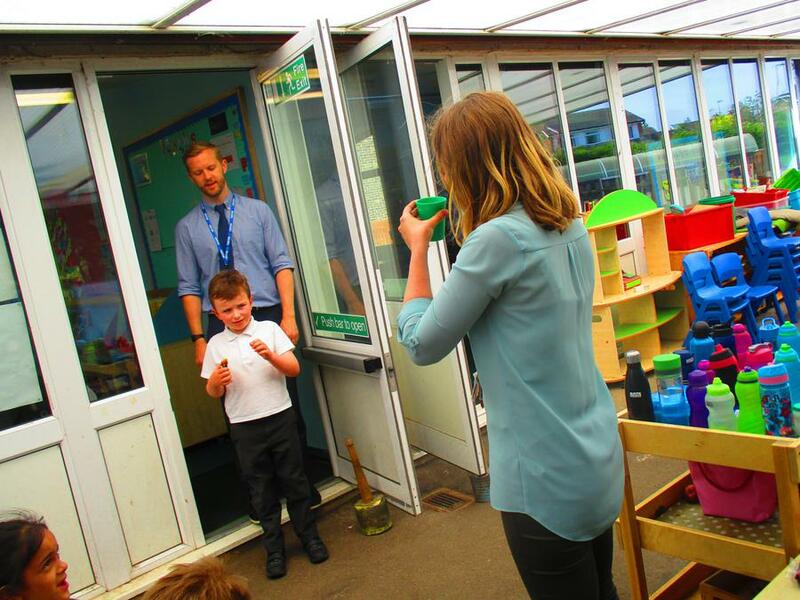 Maths Home Learning - Can you take pictures of any 3D and 2D shapes that can be found in the world around us? Bring them in by Friday 22nd so we can share them with the class. 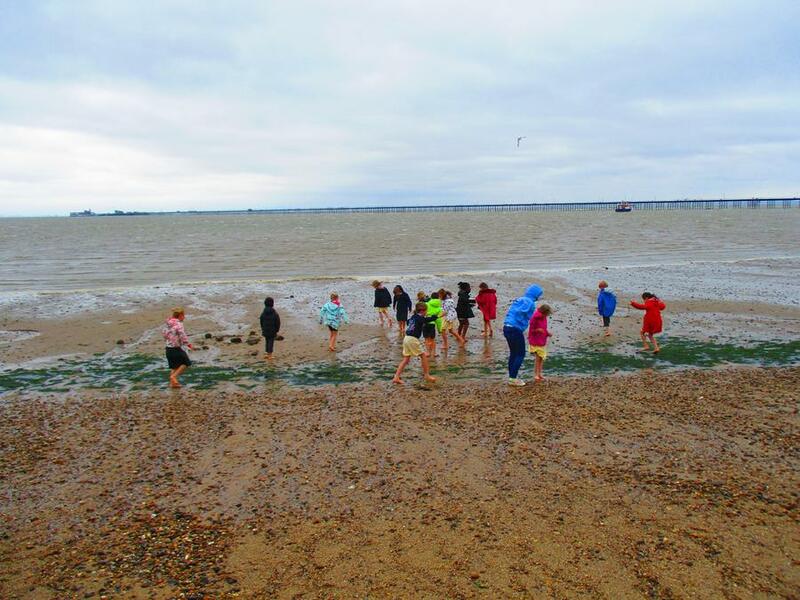 Although we were nearly blown over on the beach today - Year Two had a fantastic time in Southend. 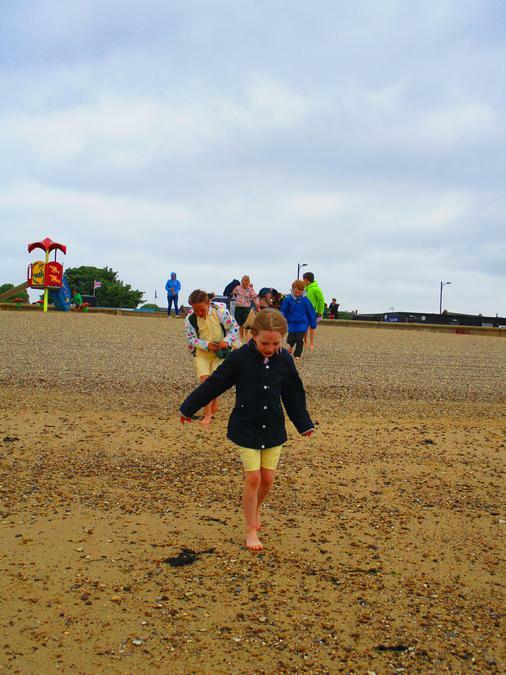 In the morning we got to paddle in the sea and play on the beach. 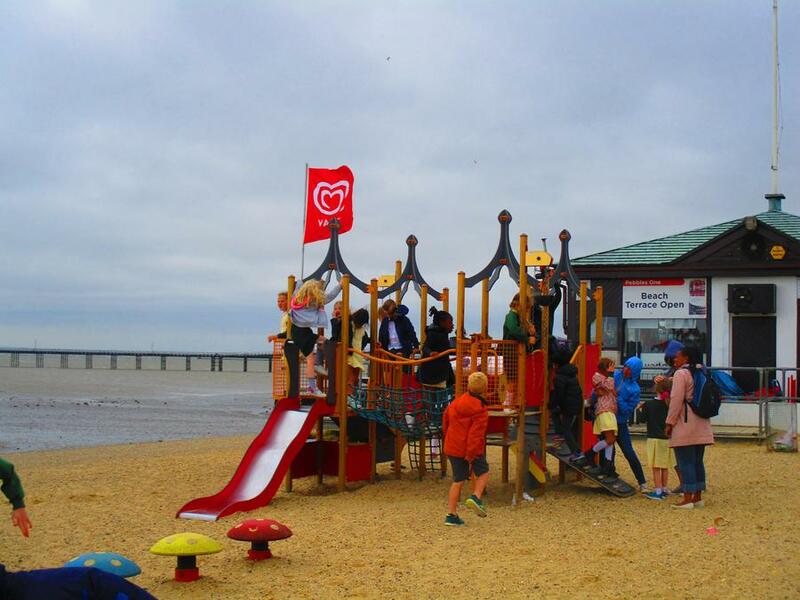 As it started to rain we had to go inside (it was so windy all our socks were flying around! 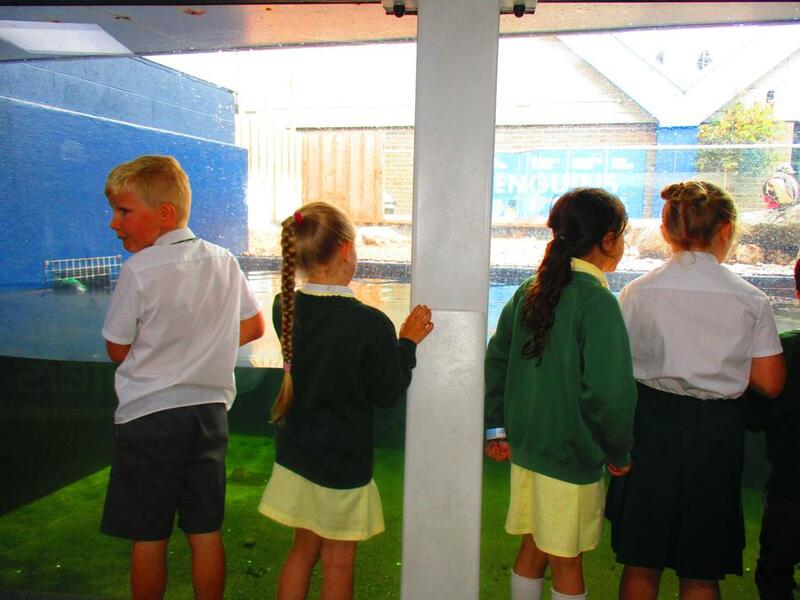 Then we got to explore the Sealife Aquarium - there were so many animals we had never seen before. 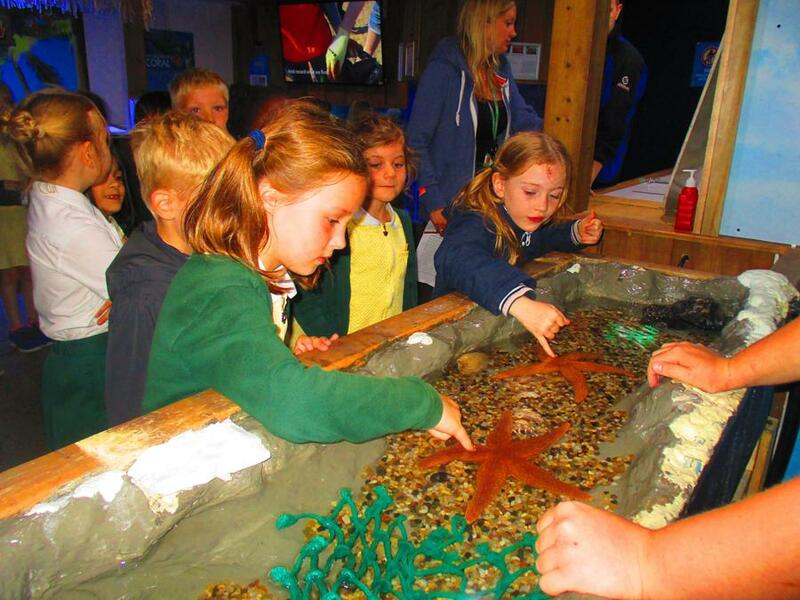 After this we got to touch a star fish. We had to use our little finger otherwise it would get too hot! 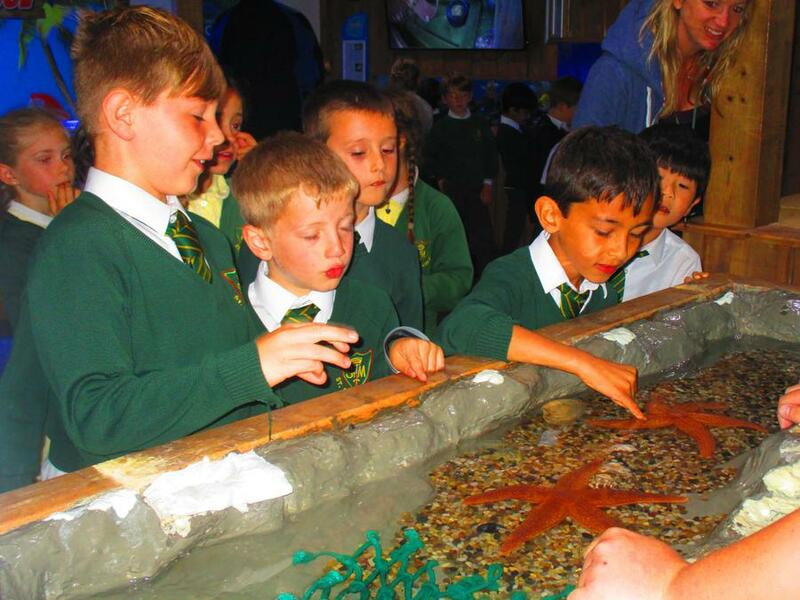 Did you know a star fish has two stomachs? Finally we got to eat our lunch and have a well-deserved ice-cream. 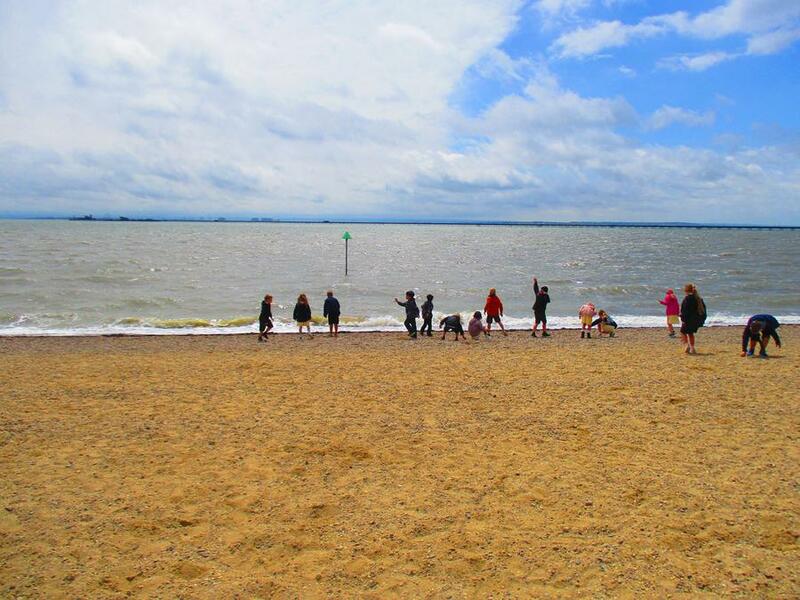 On the way to the coach the sun decided to come out so we got to play on the beach. 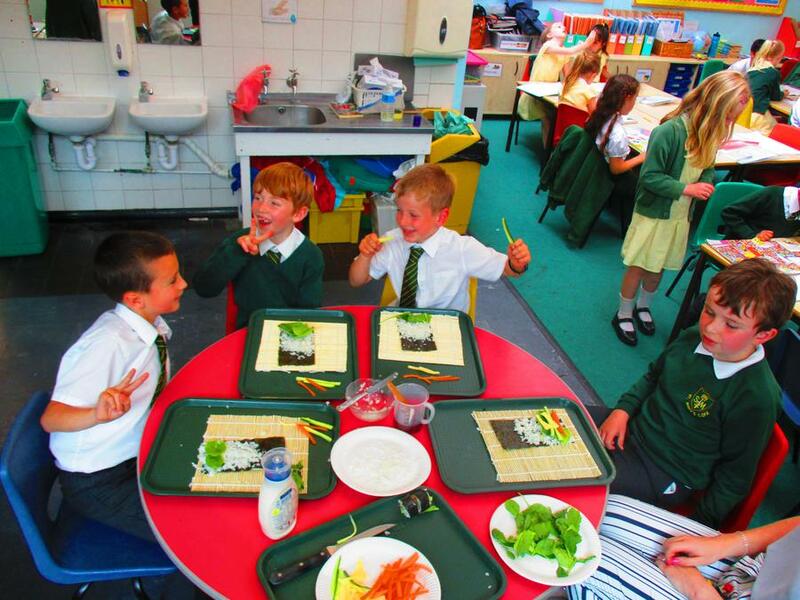 The children had a fantastic time learning about South Korea. Mr Regan shared all his knowledge of the country. We created leaflets about the UK so we can send them to a school in South Korea (hopefully they write back to us). 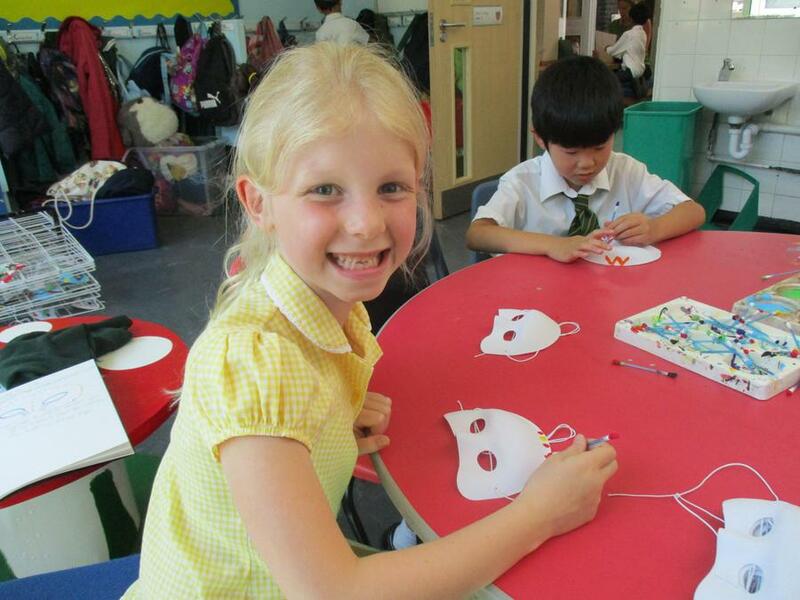 We made traditional masks, learnt the dance to 'Gangnam Style', learnt to write our name in Korean, tasted lots of different foods and we even made our own sushi! Mr Regan also taught us how to say phrases such as "good morning" in Korean. 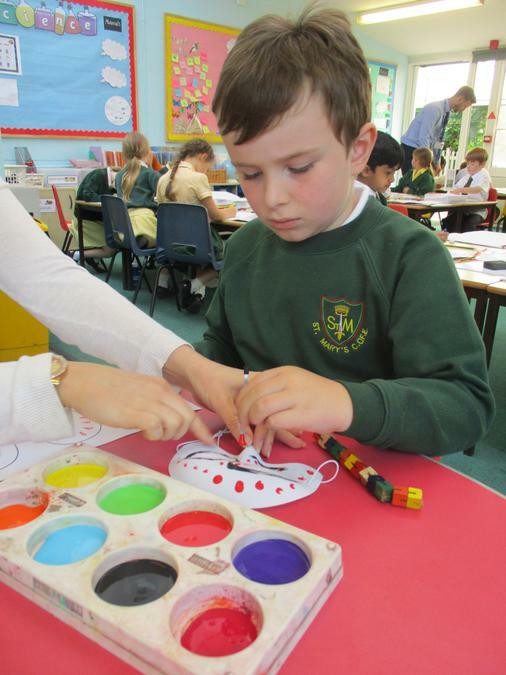 On Friday the children will be bringing home their arts and crafts from this week. 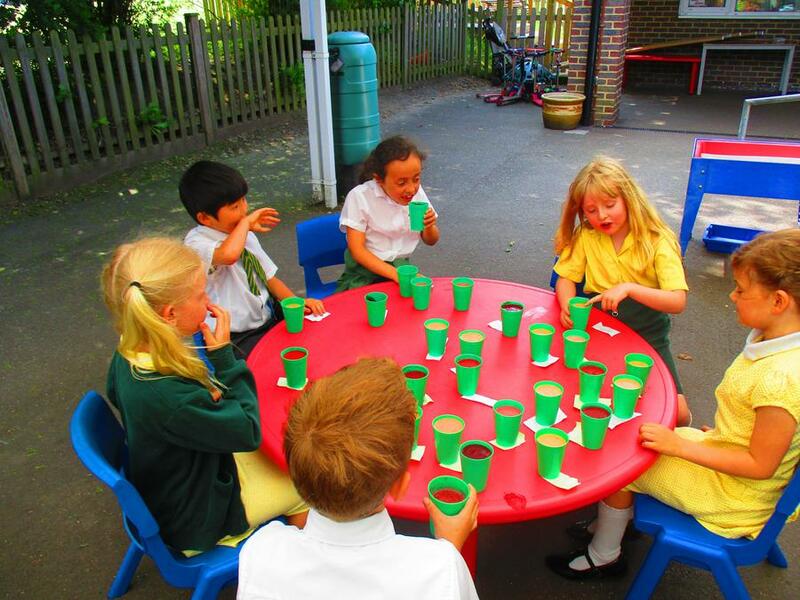 If you would like to make a donation to the chosen charity then a pot will be put out the front of the classroom. 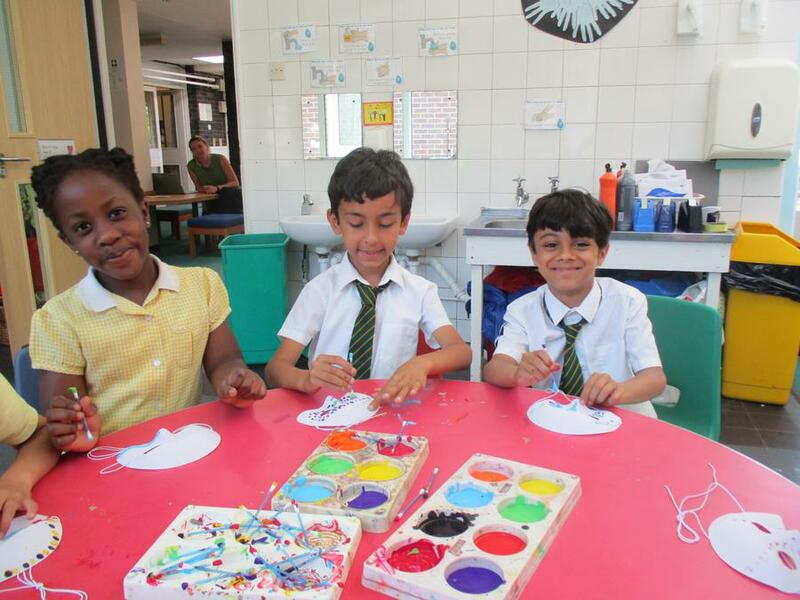 Children to wear school uniform. They can wear their own shoes. 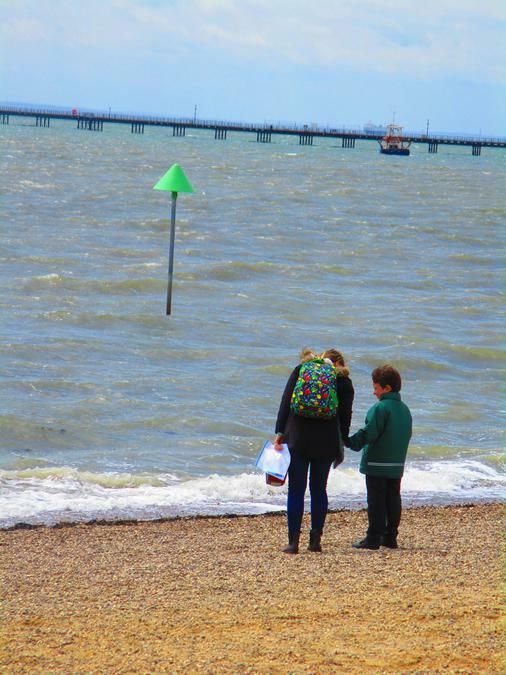 A rucksack containing: a small towel, waterproof coat (just in-case) and hat. 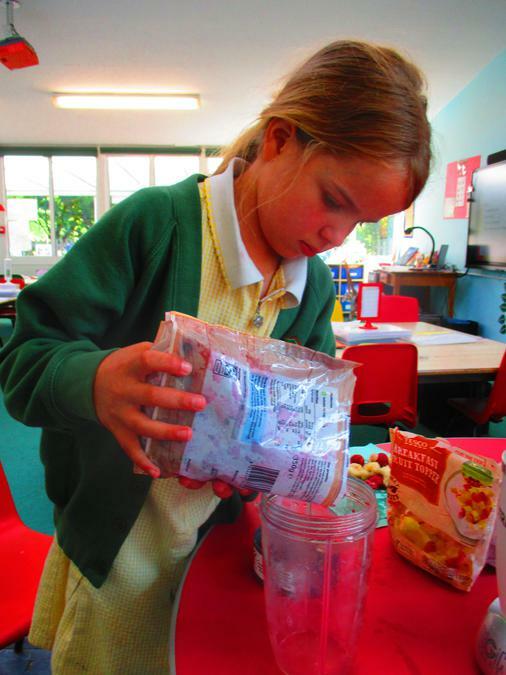 Remember a packed lunch is needed! Please remember to apply sun-cream in the morning. Hopefully it stays sunny! Fingers crossed! 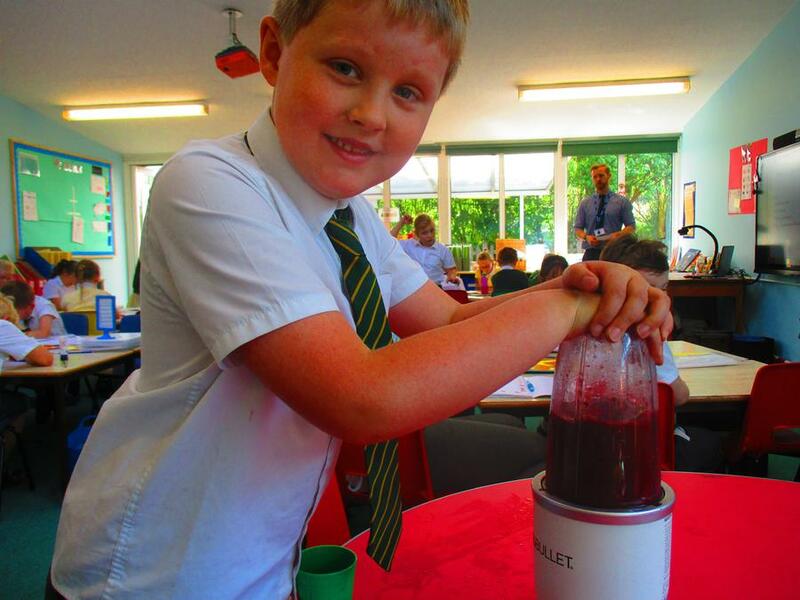 This week has been healthy lifestyle week. 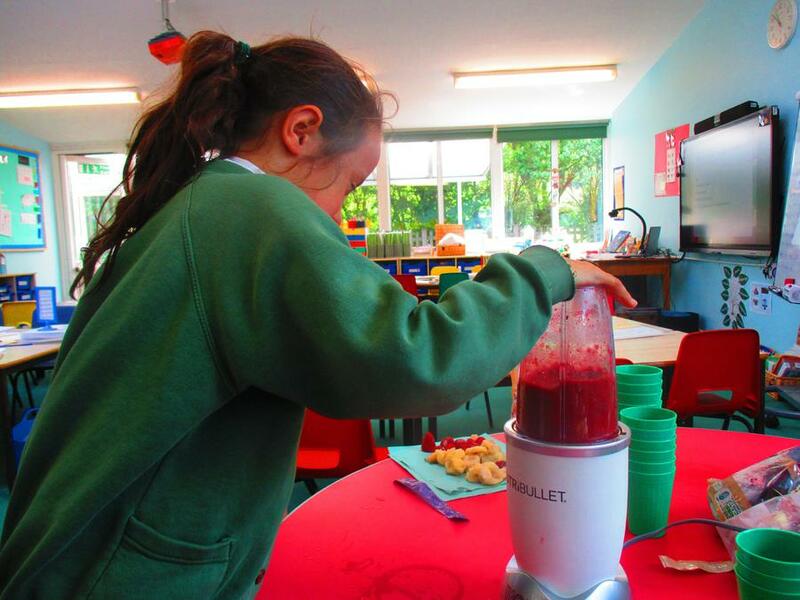 The children have made their own healthy smoothie from fruits and took part in a yoga workshop. 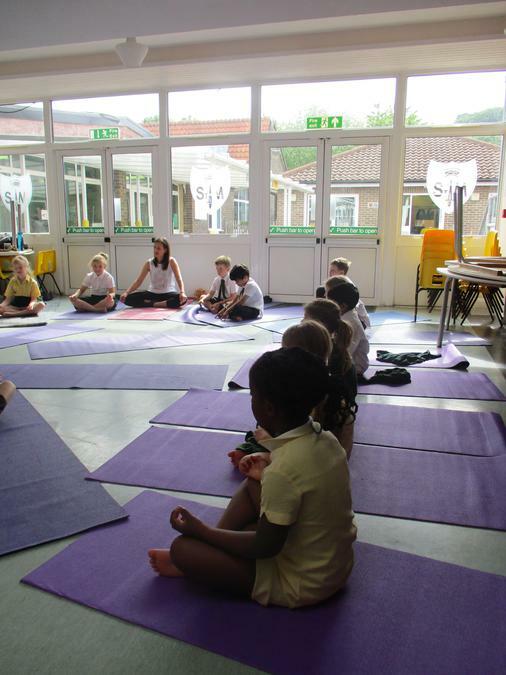 Tomorrow the children will be enjoying a 'mindfulness' activity. This week the Maths Home Learning will be a 'Royal Wedding Code Breaker' (this will be sent home in their bags). There will be no Literacy Home Learning. I am so proud of the children for completing their SATS tests this week. We celebrated with a nice ice-lolly in the sunshine. We enjoyed typing up our postcard from the Victorian times! 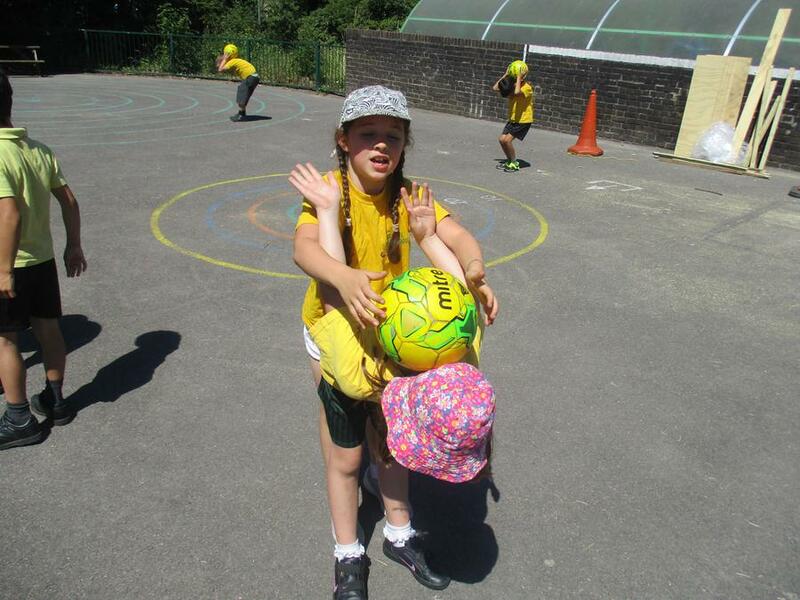 We love playing in the sunshine! Use the picture above to help you write a traditional tale. Remember to have a beginning, middle and end. 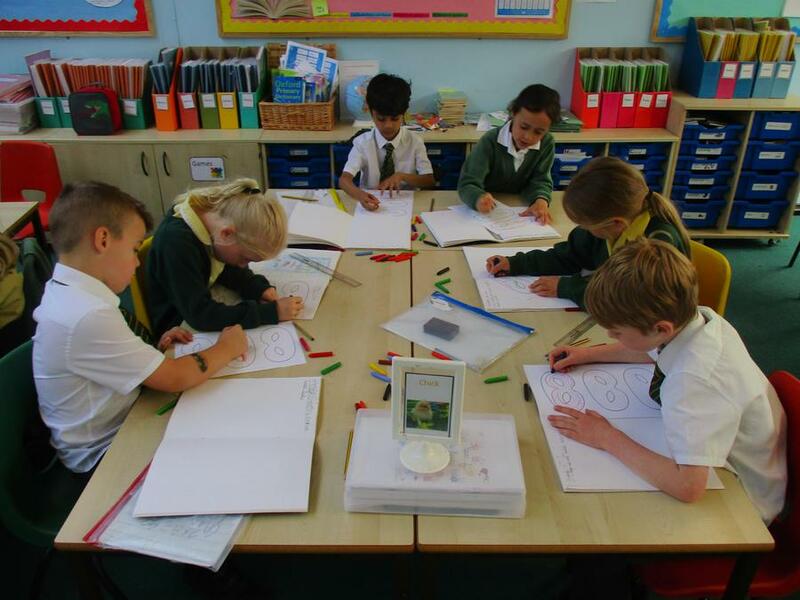 You can write your traditional tale in your Literacy Home Learning Book. What a lovely day to use the outside classroom! Please practise these spellings with your child. They will be tested next Friday. When learning the spellings, please make sure your child can put the word into a sentence and knows the meaning of it. Next week I will be testing the children on the common exception words that they are required to know. Please practise these over the weekend. door, floor, poor, because, find, kind, mind, behind, child, children, wild, climb, most, only, both, old, cold, gold, hold, told, every, everybody, even, great, break, steak, pretty, beautiful, after, fast, last, past, father, class, grass, pass, plant, path, bath, hour, move, prove, improve, sure, sugar, eye, could, should, would, who, whole, any, many, clothes, busy, people, water, again, half, money, Mr, Mrs, parents, Christmas. Next Friday I will start sending out weekly spelling lists linked to the National Curriculum spelling expectations for Year 2. I will test the children the Friday after. 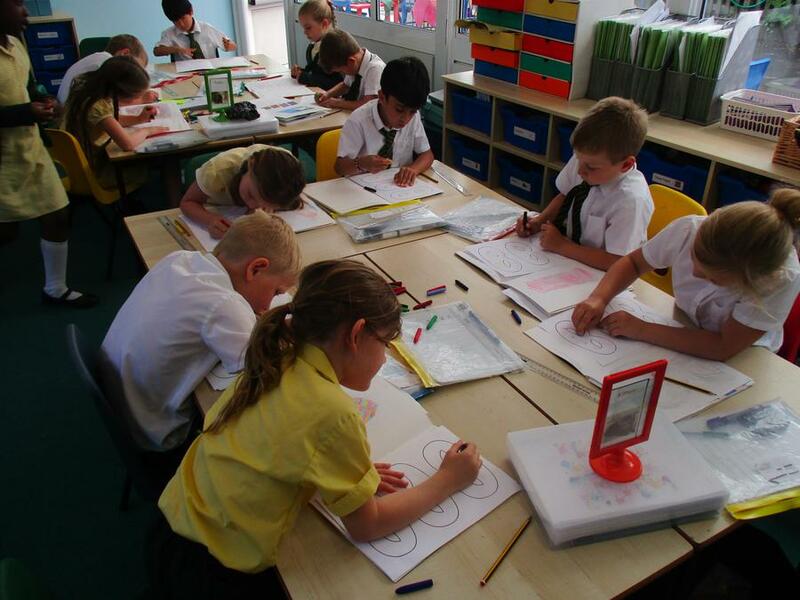 We use resources to help us with our Maths. Can you find 1/2, 1/3 and 1/4 ? Rapunzel all alone in the tower. Please remember to send your child in with a sun hat and water bottle. Sun-cream needs to be applied before school. Reminder - purple handwriting books need to be returned by Thursday. Do you know what each part of a hot cross bun represents? On Friday the children will be coming home with a purple handwriting book. The book contains some of the high frequency and common exception words for Year Two. The handwriting book helps them with their letter sizing and consistency. 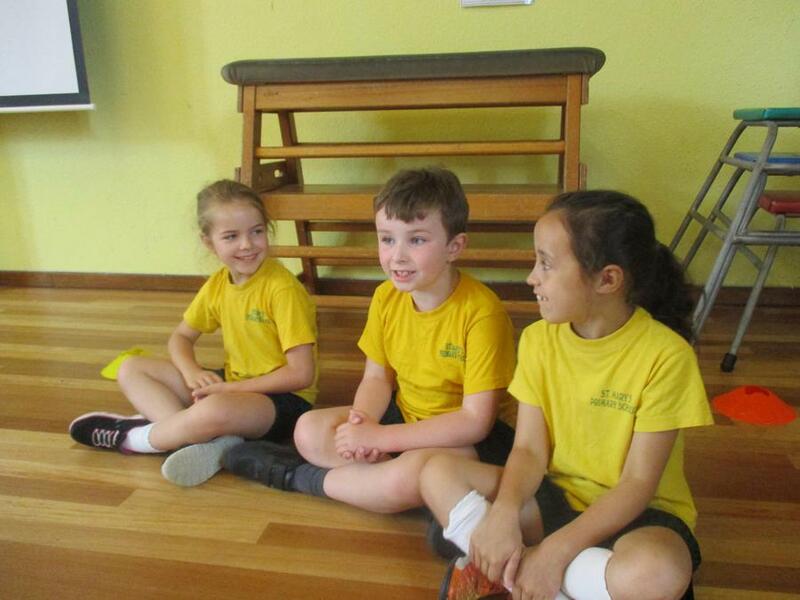 Each week the children will practise the spellings twice before brining them home. Please finish the line of spellings, using the lines as a measure and my example to help. Please return the book by Thursday for some new words. 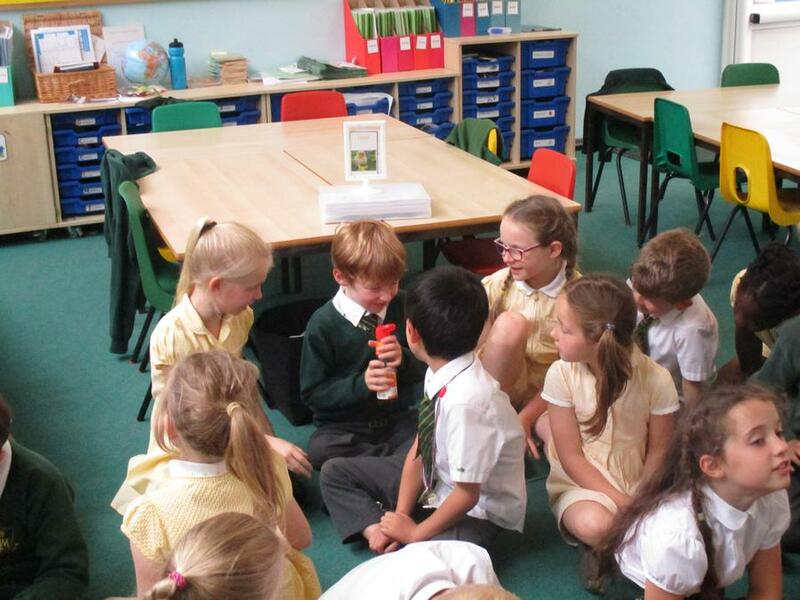 We had a lovely afternoon looking for the similarities and differences between plants. 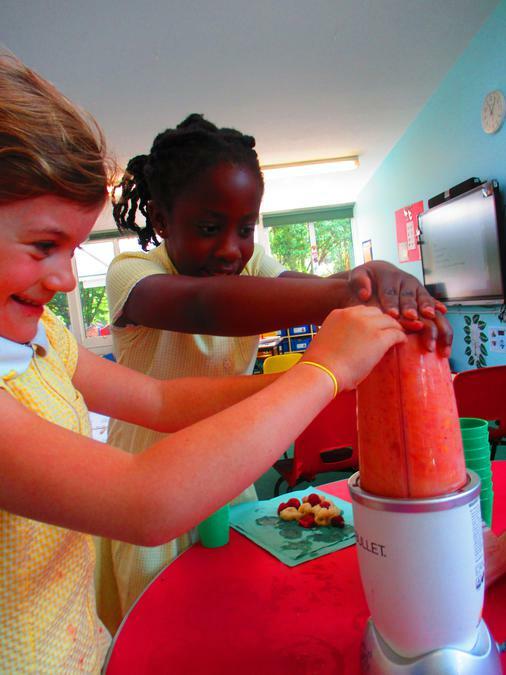 This week has been National Science Week. It was sad to hear the news about Stephen Hawking. We discussed all his fantastic scientific work in memory of him. 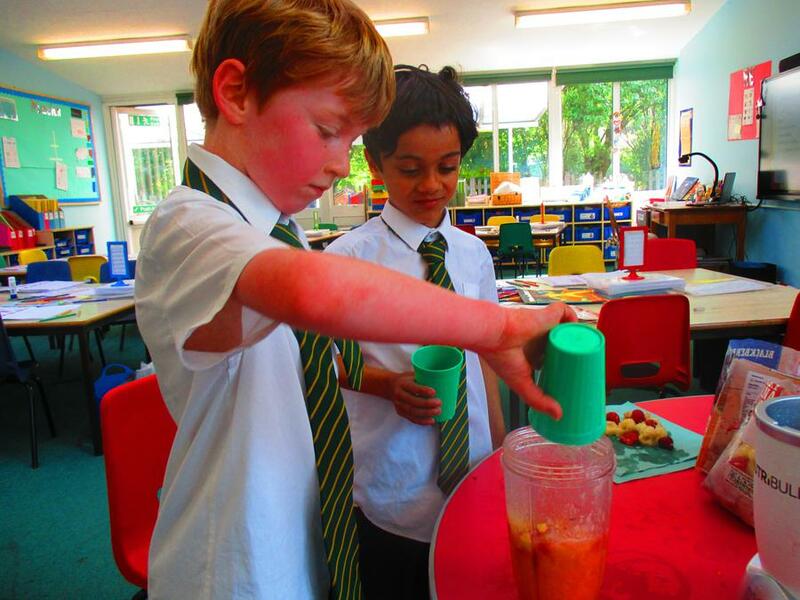 On Friday afternoon we took part in five different scientific activities. 1. Using marshmallows and pasta to build the highest tower. 4. What paper aeroplane design travels the furthest? We also got to visit our chicks and got to give them a little stroke. 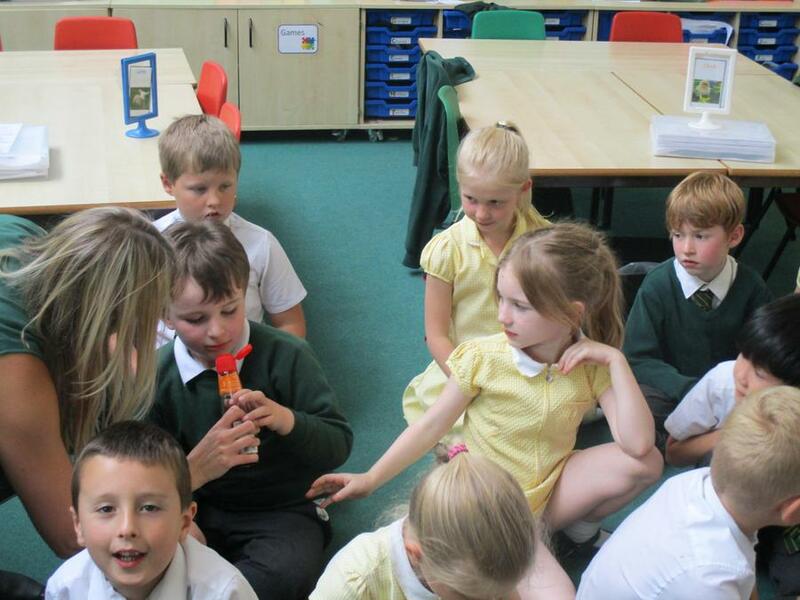 We spoke about the attachment theory and now know the chicks think we are their Mummy and Daddy! What condition do plants grow best in? Roald Dahl did all his writing in his shed. Roald Dahl went to boarding school. We were shrunk in the shrinking machine. Help! Don't make me disappear! Augustus Gloop stealing all the chocolate! Help - I'm stuck in the machine! Book Review - in your Literacy Home Learning Books. You can use the following questions and points to help you review your book. 2. Who would this book be suitable for? Why? 3. Would you recommend the book? Explain why. 4. Draw a picture of the front cover. School Trip tomorrow. 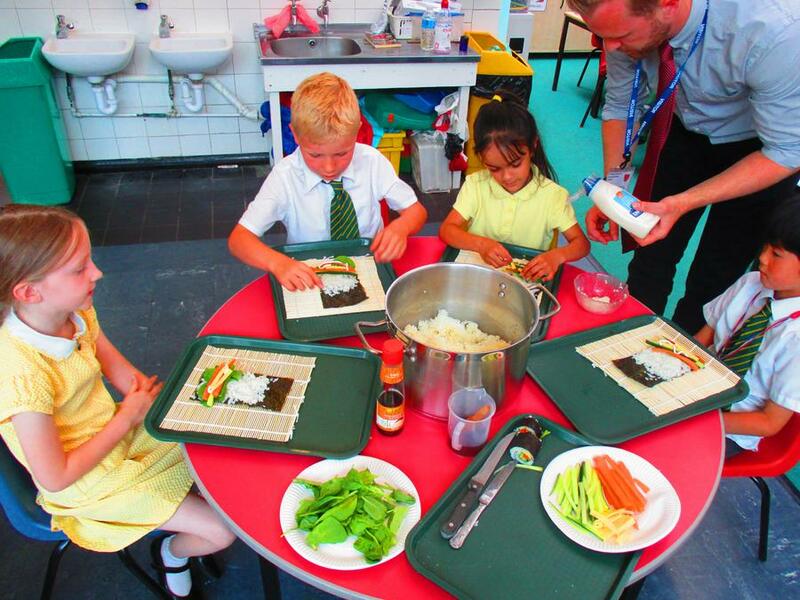 Remember your packed lunch! 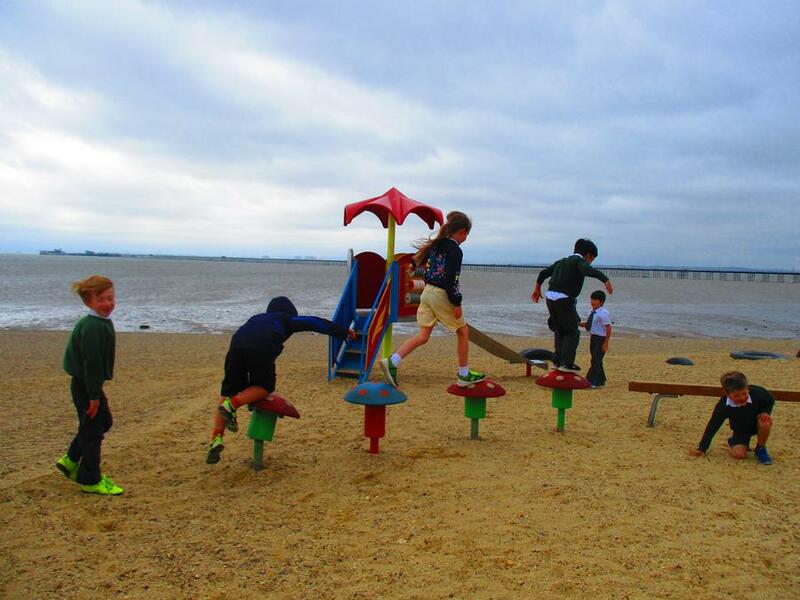 We love our new tyres on the playground! Reading time in Year Two! 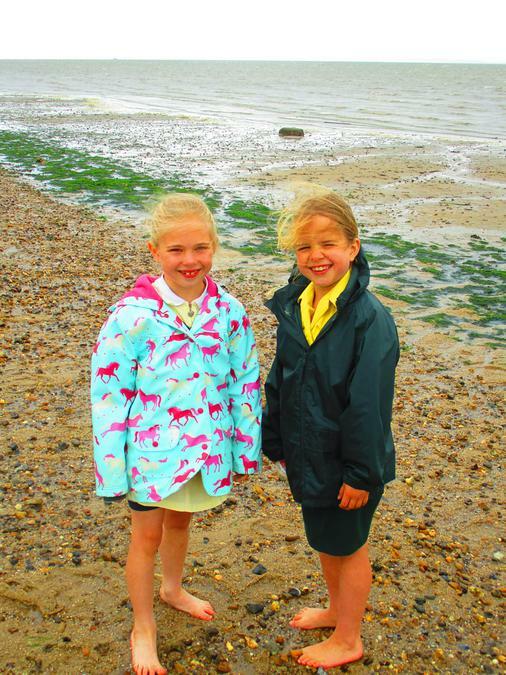 Remember your Wellies for the playground! REMEMBER: Parents/Carers are welcome to come into Year Two to read with their children. Can you guess what we are learning about next half term in Theme? 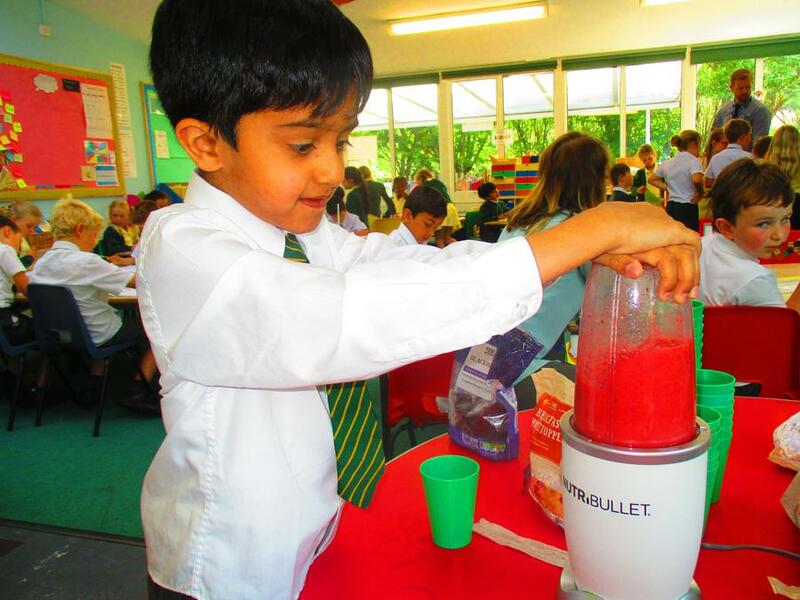 In Year Two we decided we were going to make milkshakes as part of our enterprise activity. 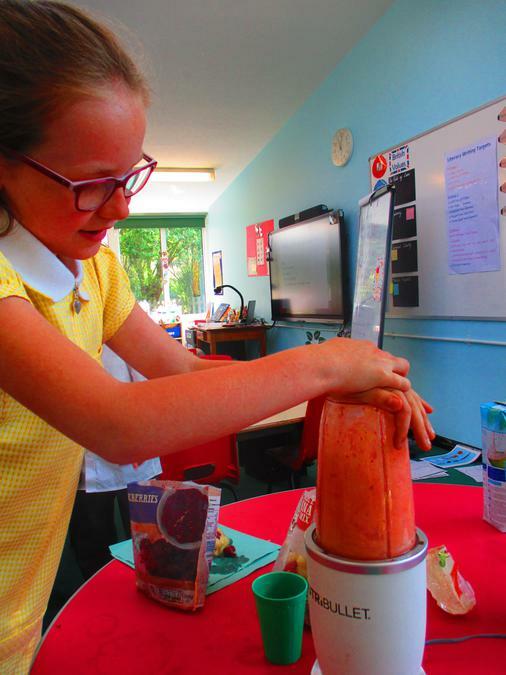 We made chocolate, caramel, banana, strawberry and oreo milkshakes. We knew we had to make over £30 in order to make a profit. 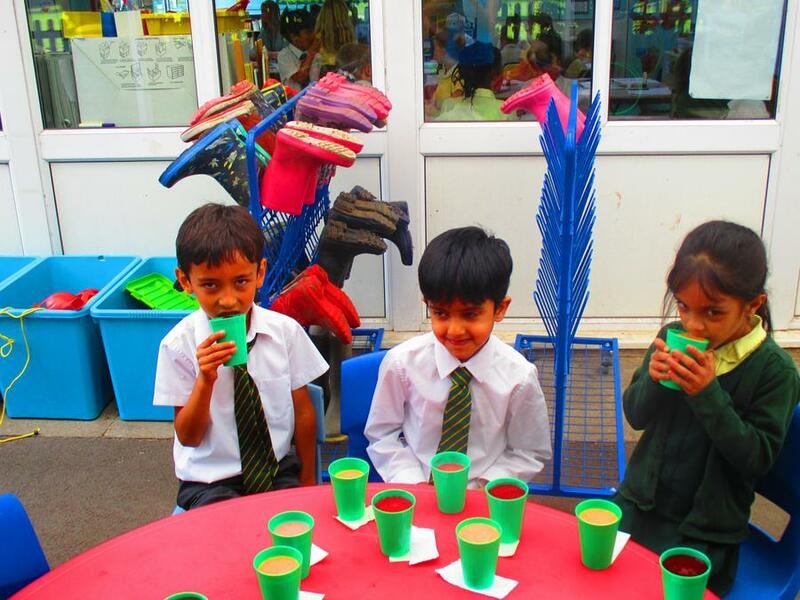 Enterprise - remember to bring your £1 to buy a delicious milkshake! 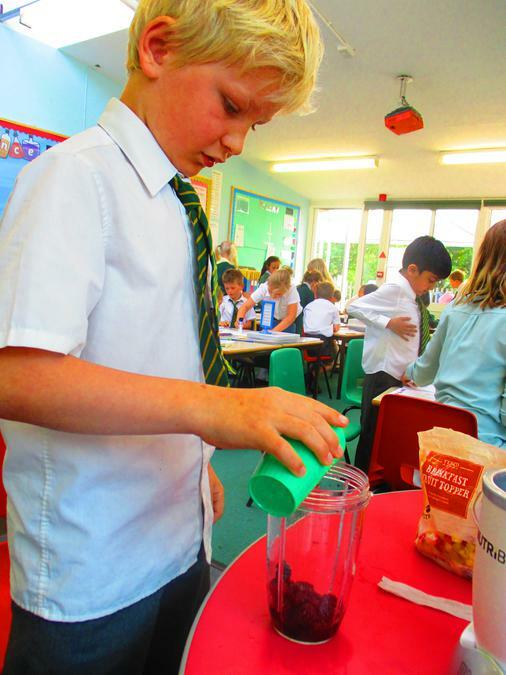 We started off the week with an eco-workshop. 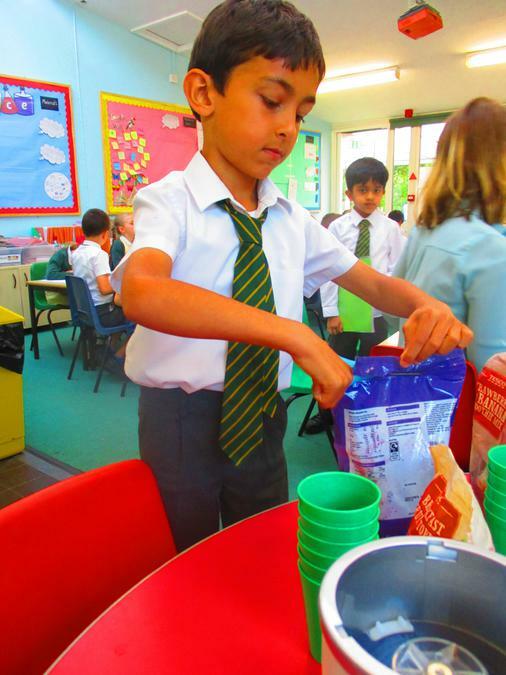 We learnt about the importance of recycling and the impact we are having on our planet. Next, we had a visit from the Firefighters where we learnt about the importance of having a fire alarm in your home. The Police also came to talk to us to tell us about their job and how they keep us safe. Mrs Sharp told us all about the New Hope charity and how we can support people that are homeless. 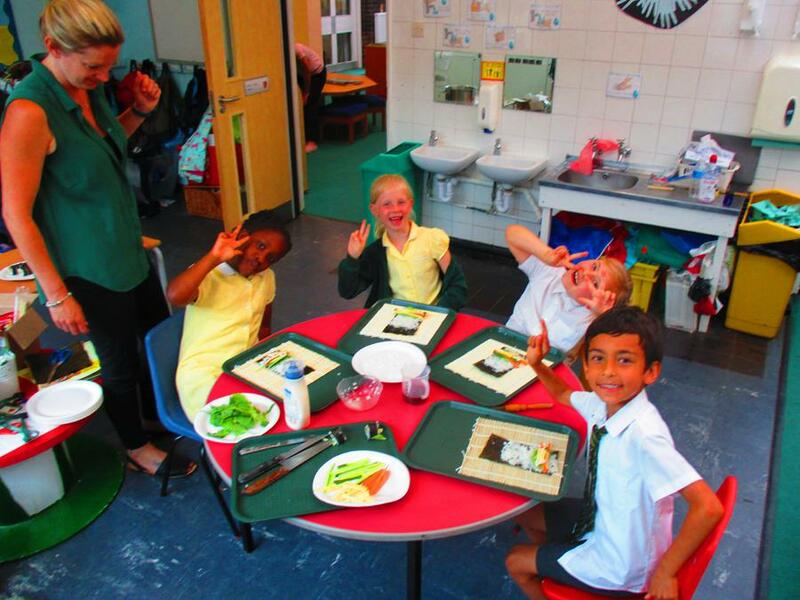 We also took part in a healthy eating workshop. 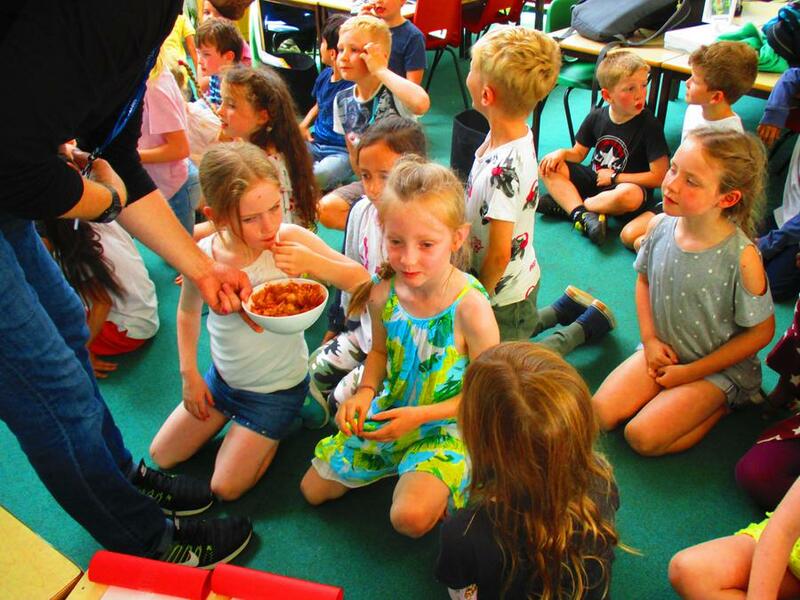 We completed lots of different activities such as; brushing teeth, building the human body out of puzzle pieces, sorting out foods for the Eat Well plate and learning how much salt and sugar is in our food! 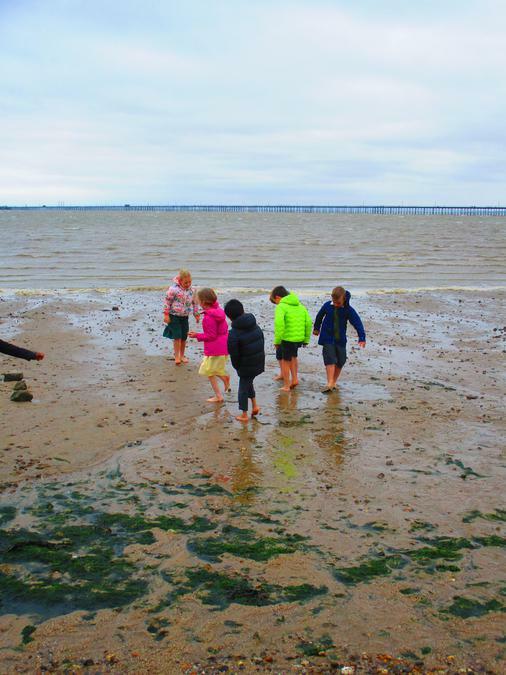 As a class, we discussed the topic 'our happy place'. We used foam to create a picture of our happy place. 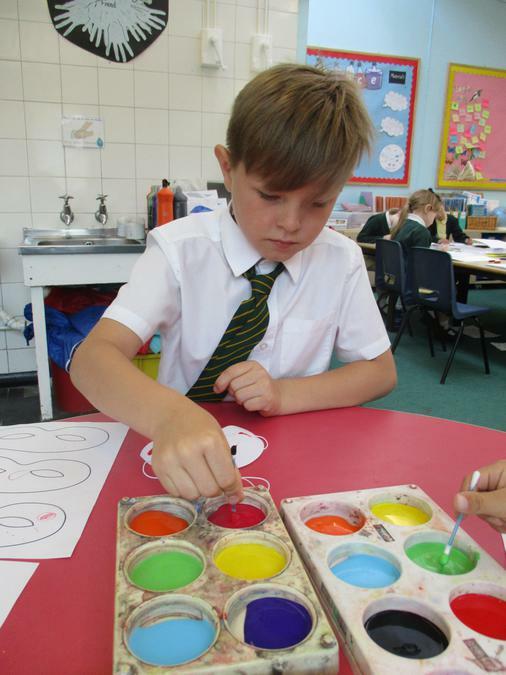 In circle time we spoke about how different colours can represent different emotions. 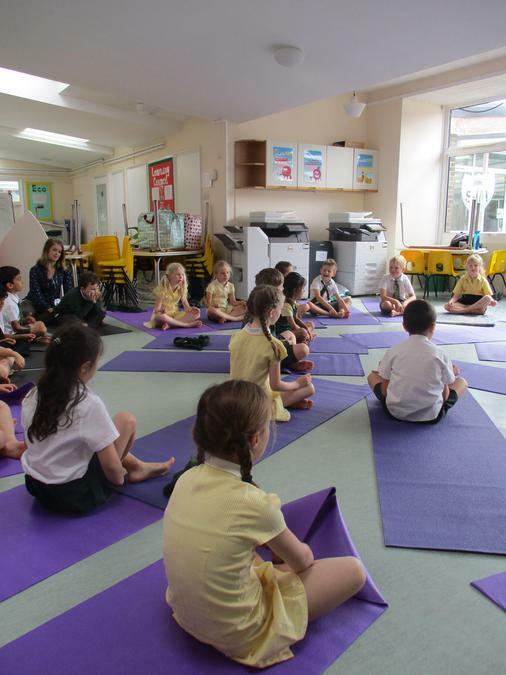 Take a look at all our photos! Have you seen in a fire engine? Taking a look inside the fire engine. Miss Ellis loved dressing up! 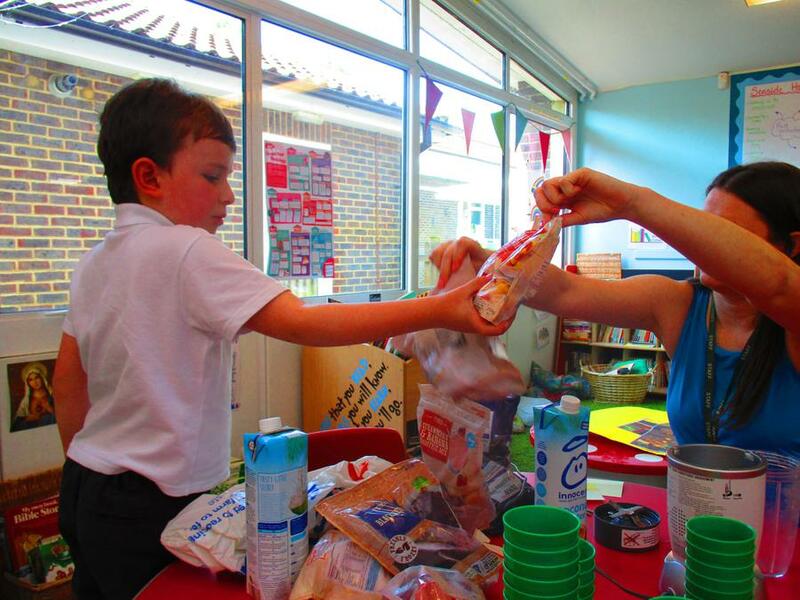 What can you make from recycled materials? Please complete in your home learning book - make sure you show your working. Maths Game This week we have been learning to tell the time. 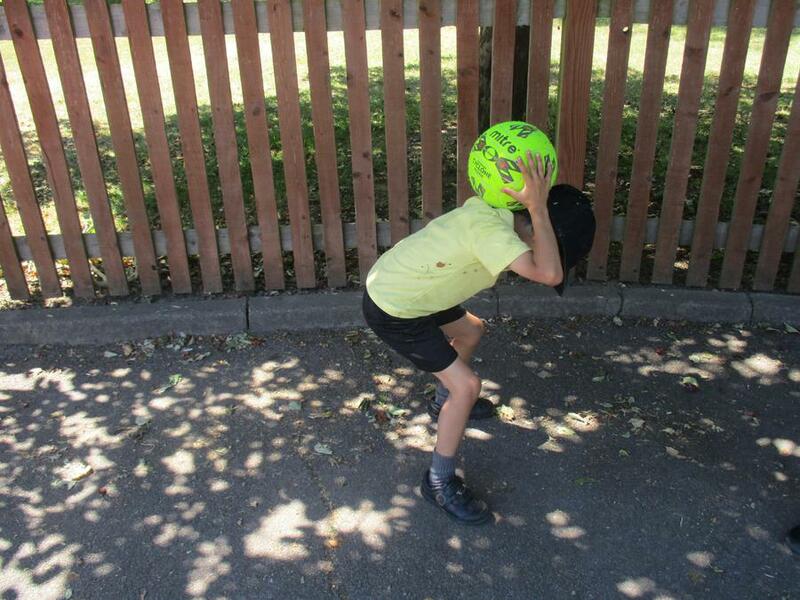 Here is a game you can play to practise. 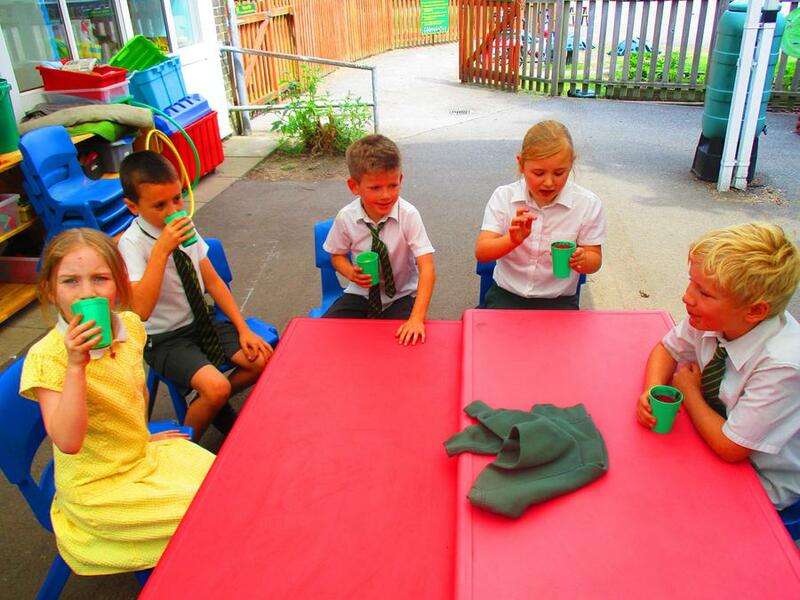 We made Origami hats and cups. We had to demonstrate perseverance. We kept going to reach our goal. Maths Game This week we have been learning about interpreting data in our unit 'statistics'. If you click on the link it will take you straight to the page. 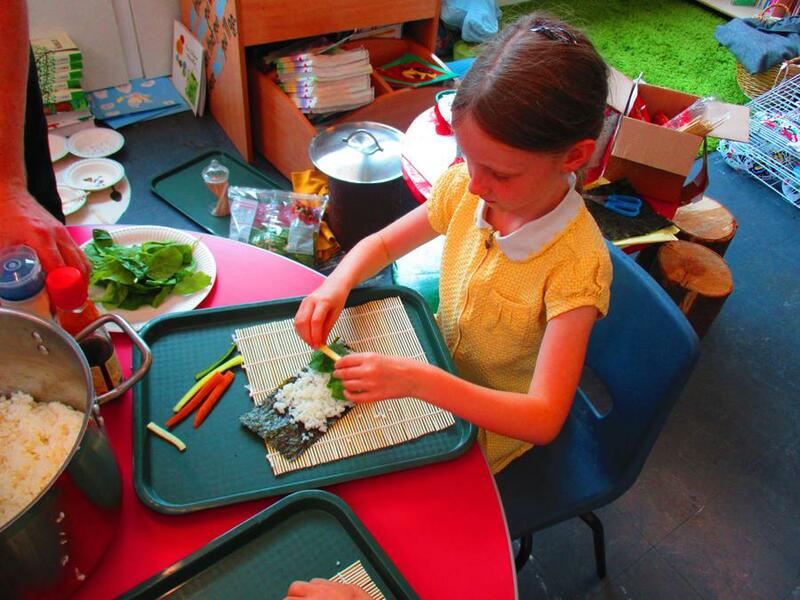 As part of our Art unit we have made 'nature objects' using clay. 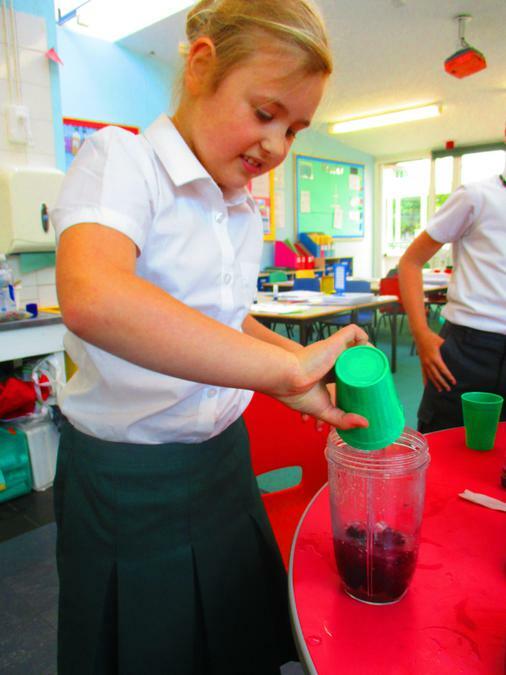 Measuring in Maths - we made potions! Welcome back to the Spring Term. I hope you all had a fantastic Christmas.